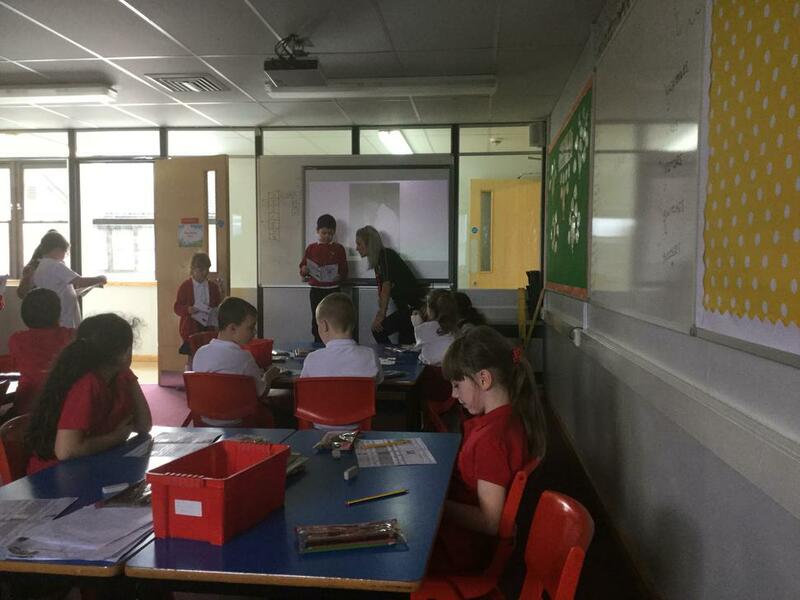 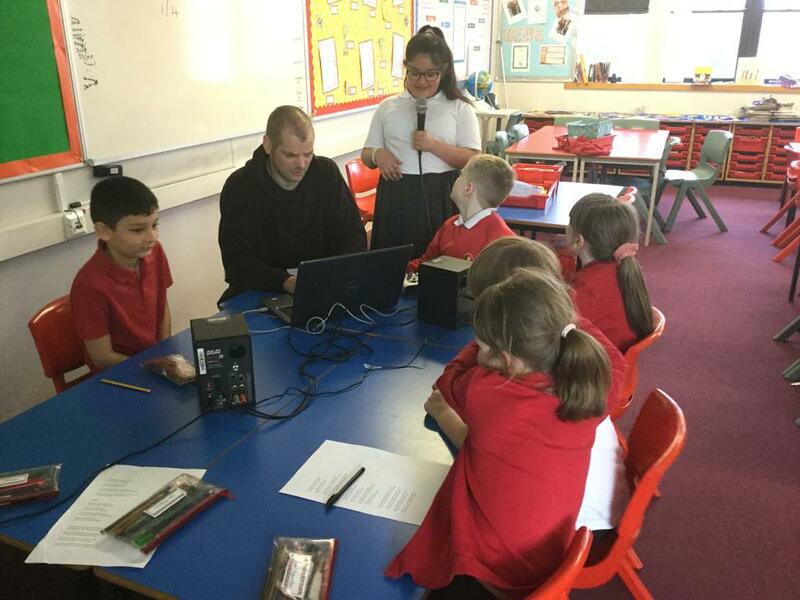 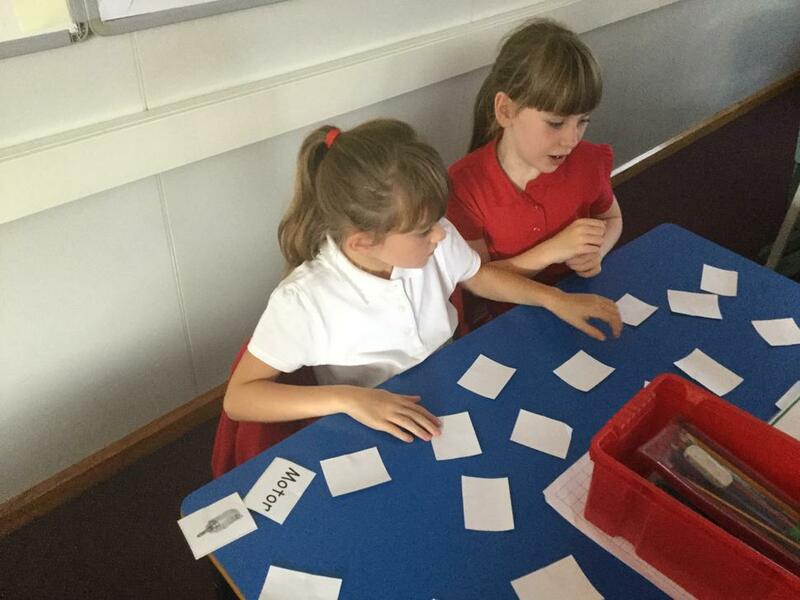 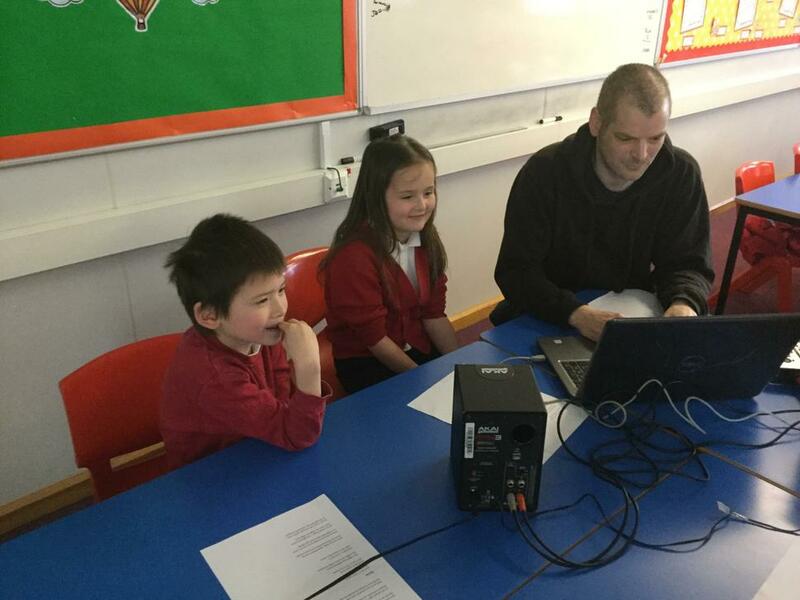 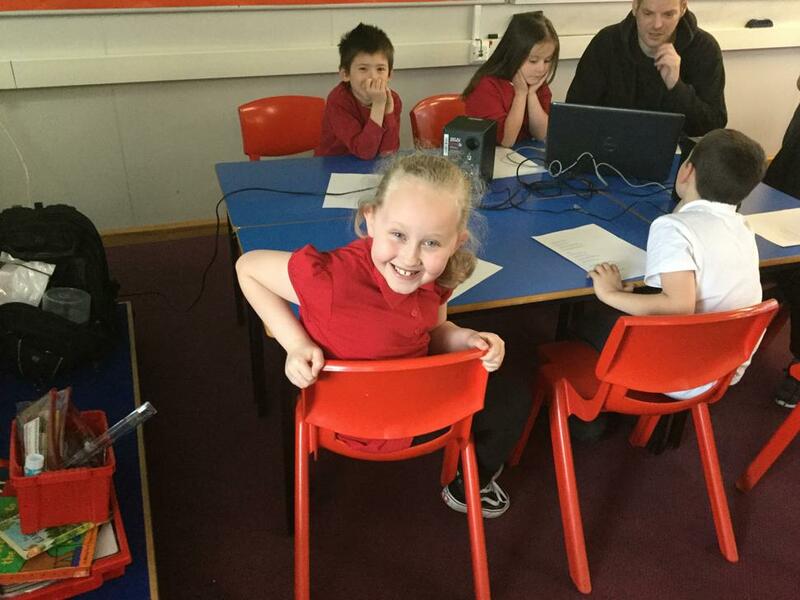 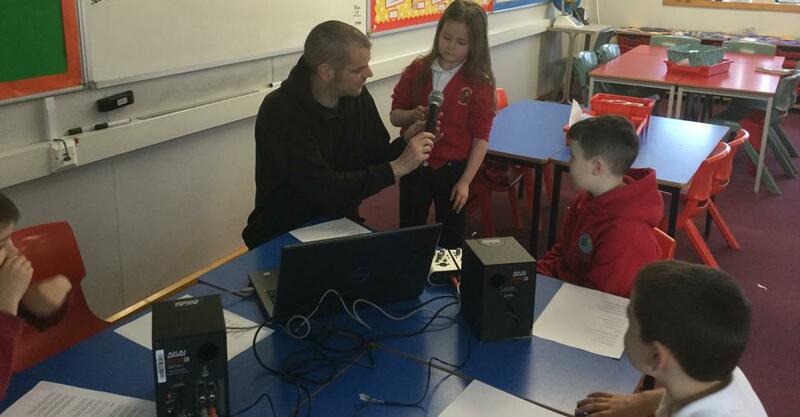 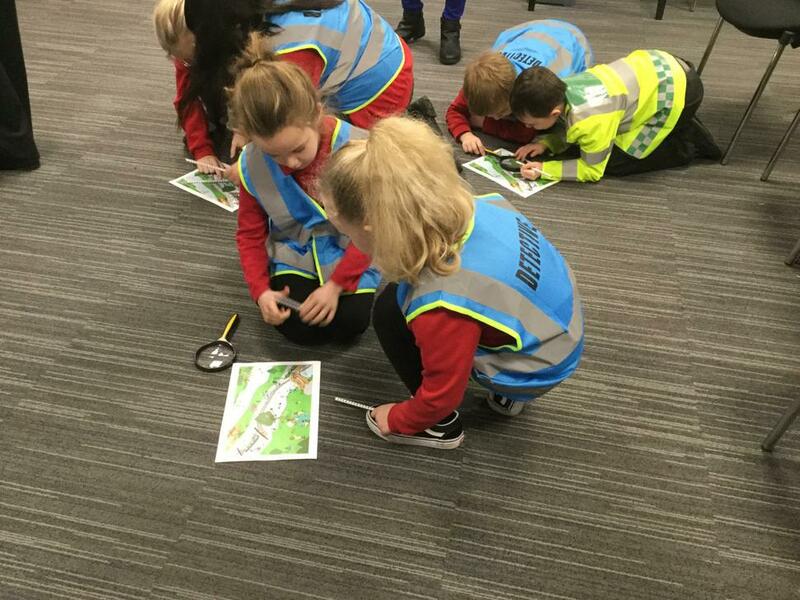 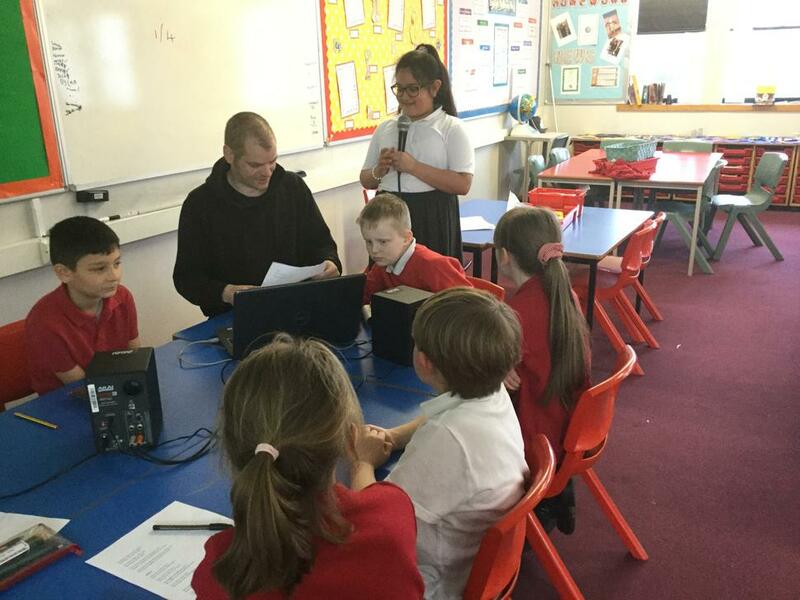 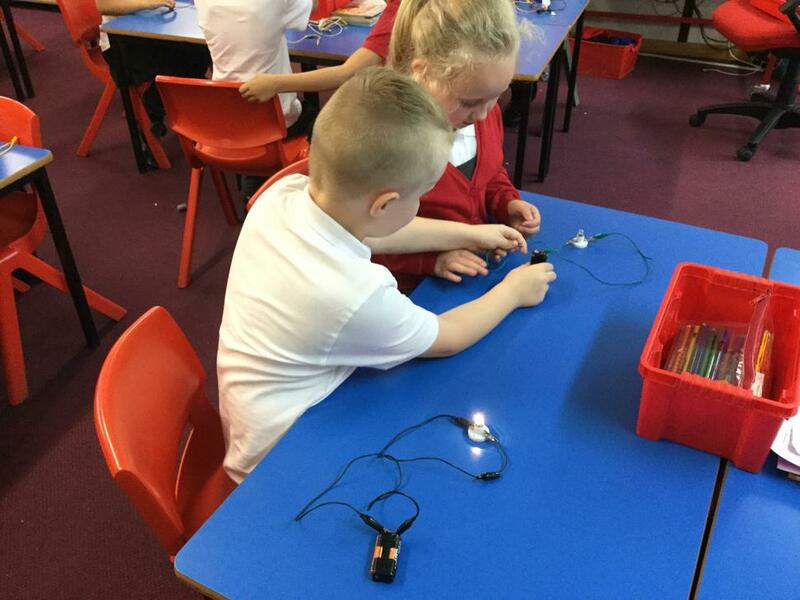 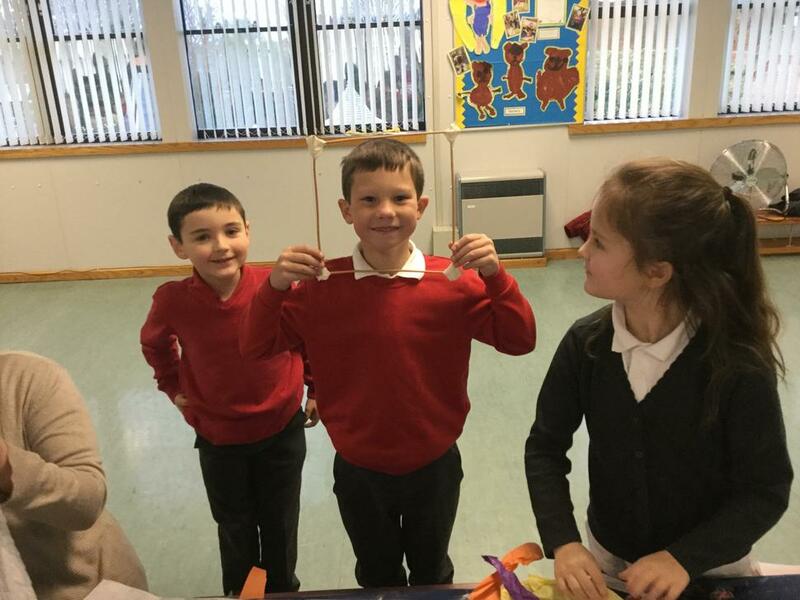 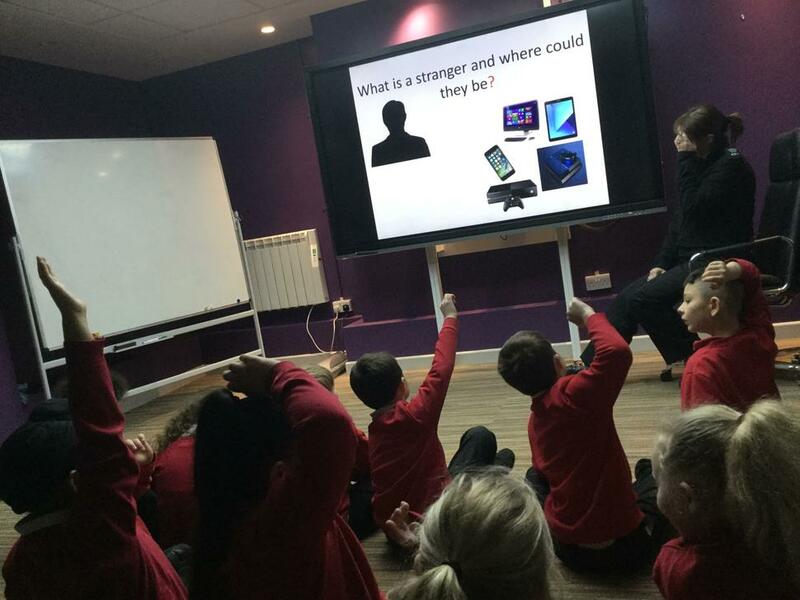 Year 3 children have been working with the GEM project. 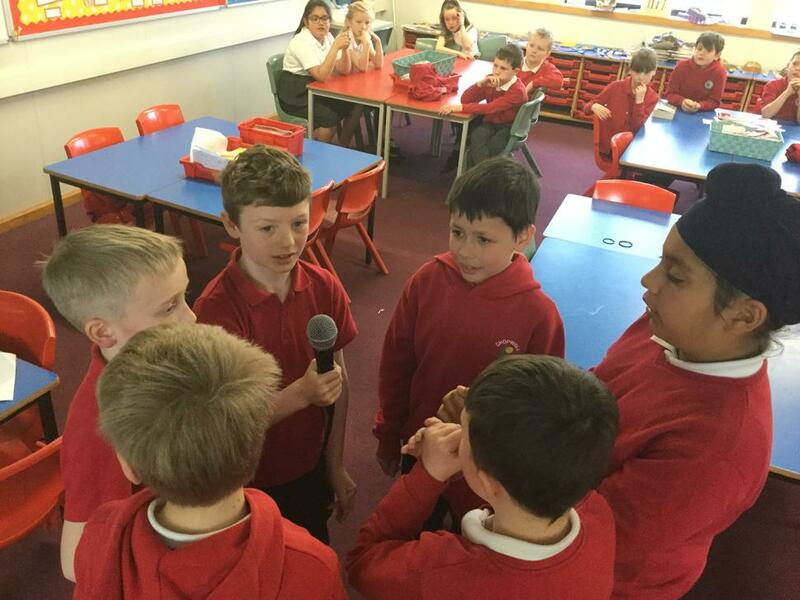 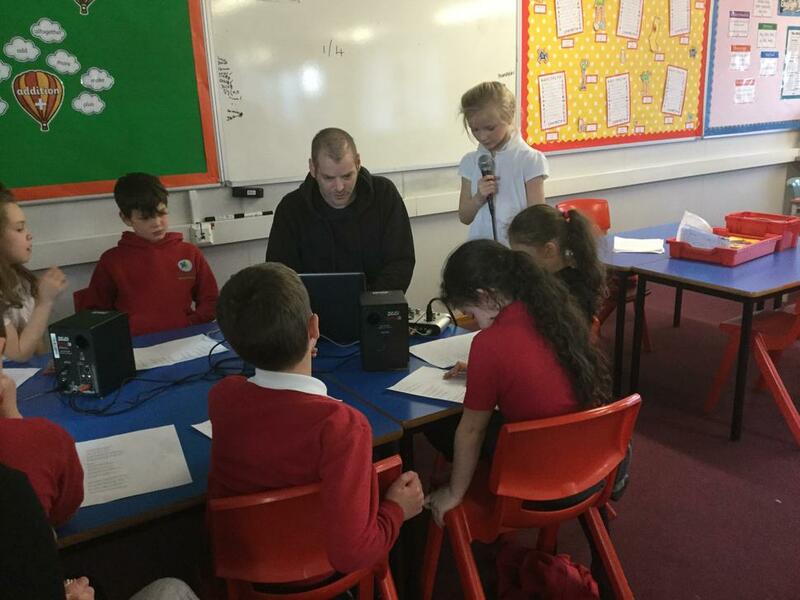 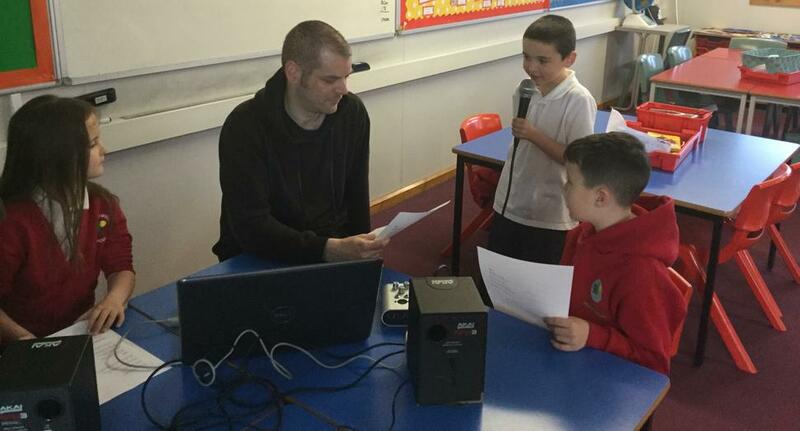 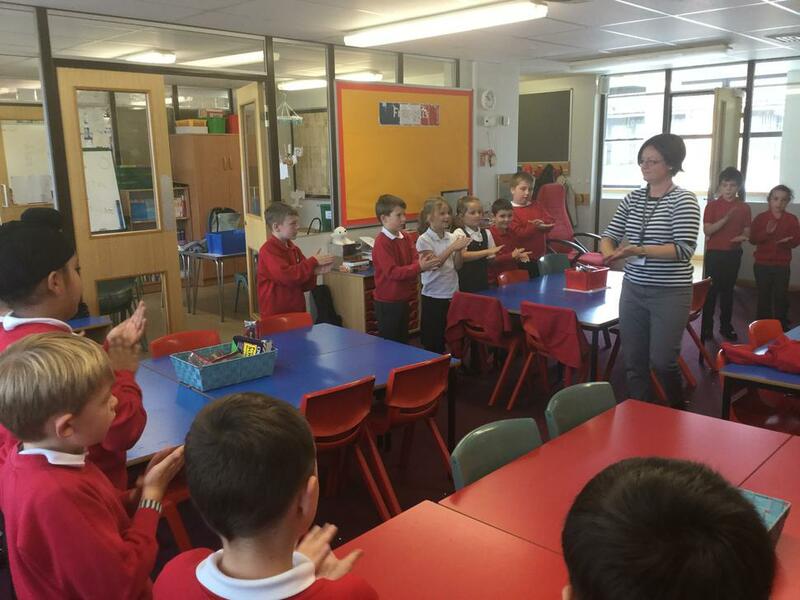 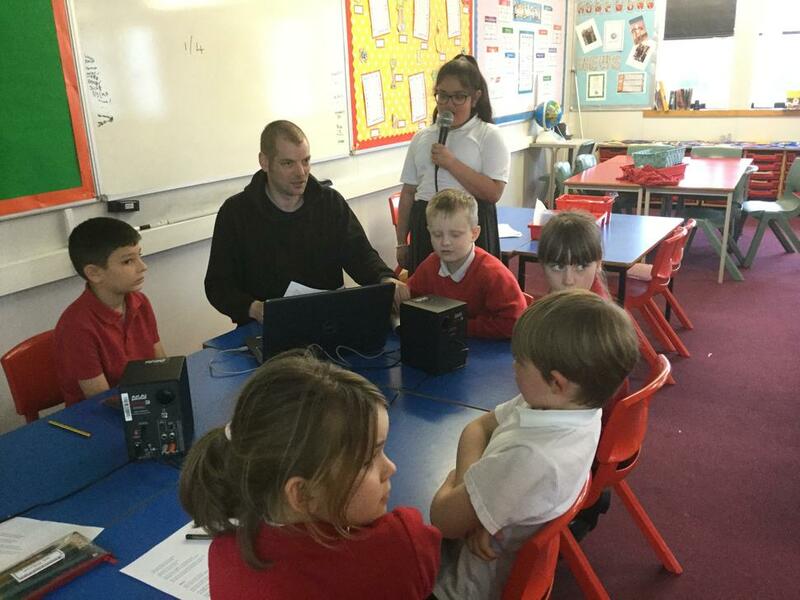 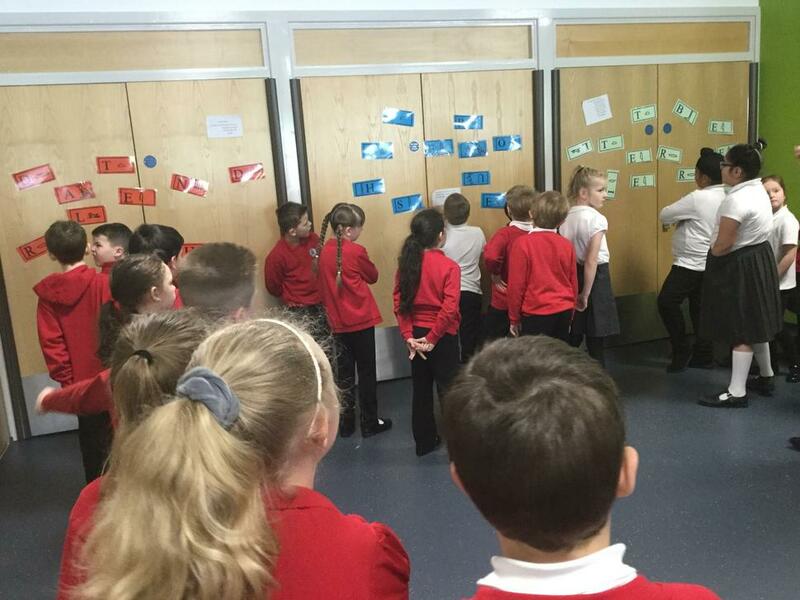 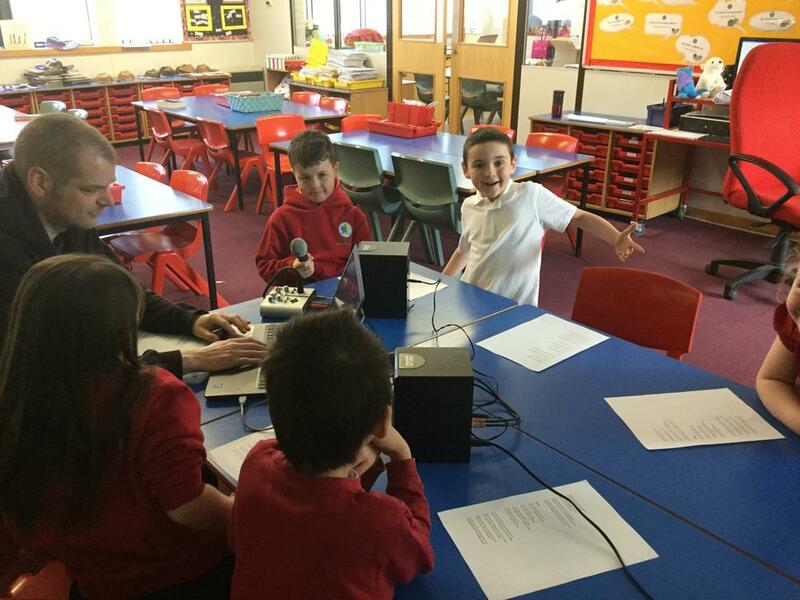 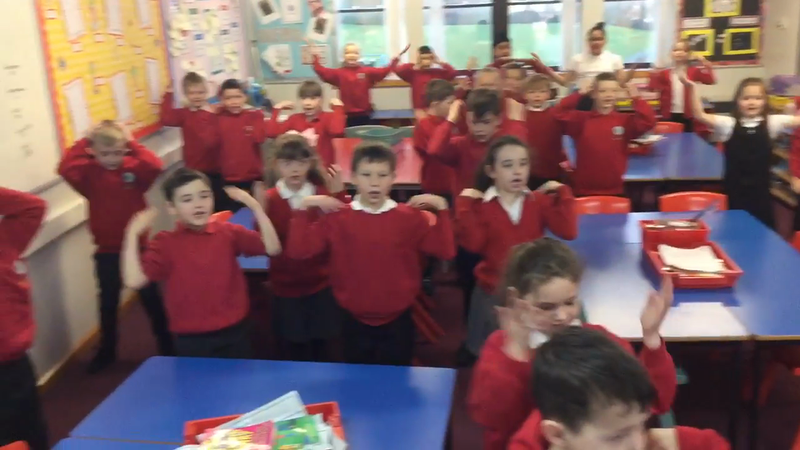 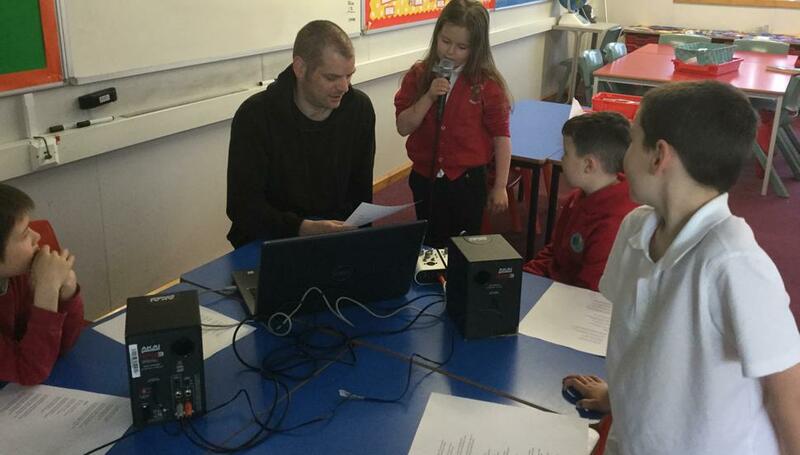 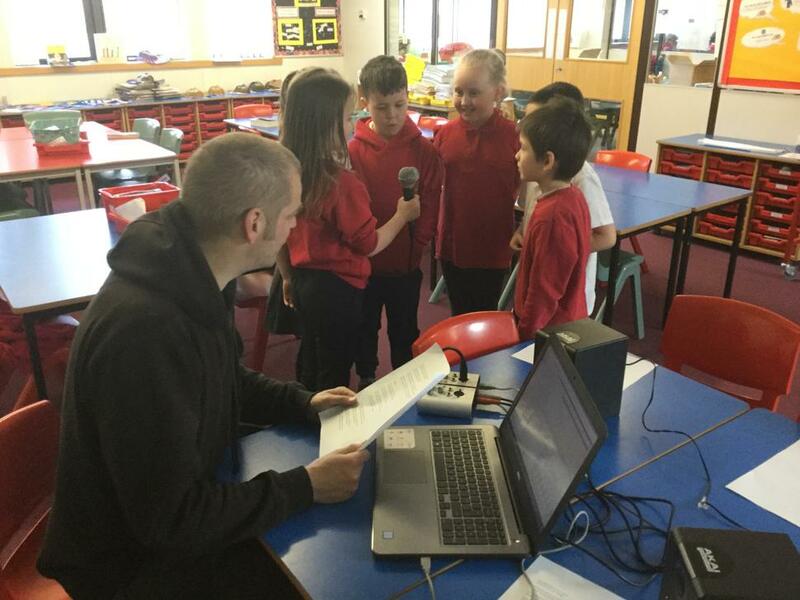 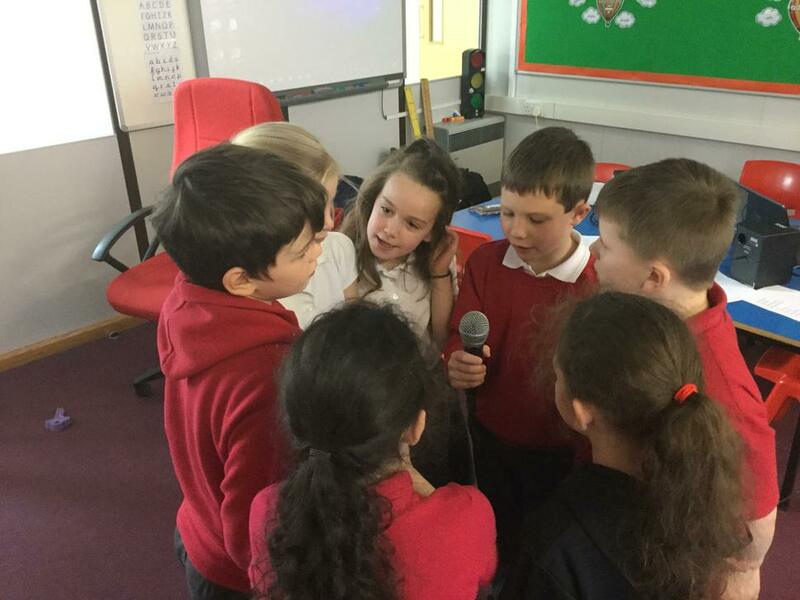 The children have written their own lyrics, performed and recorded a rap about bullying. 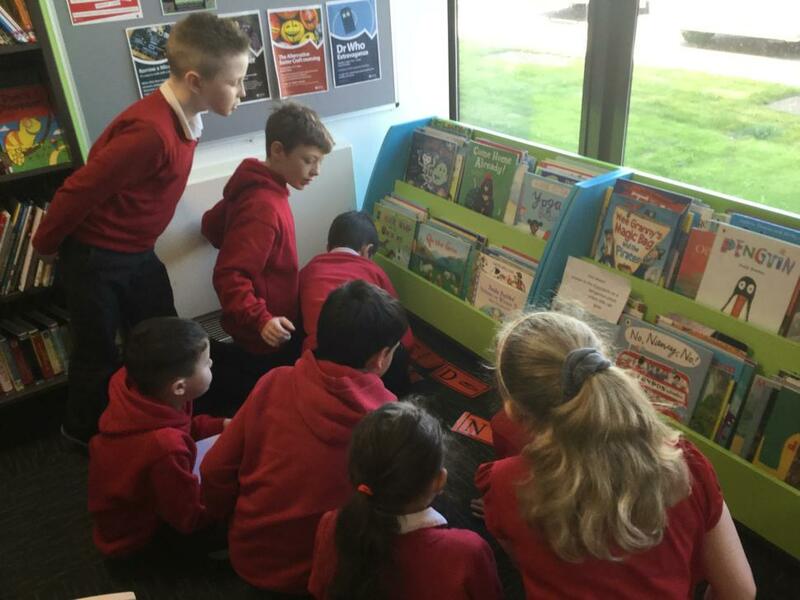 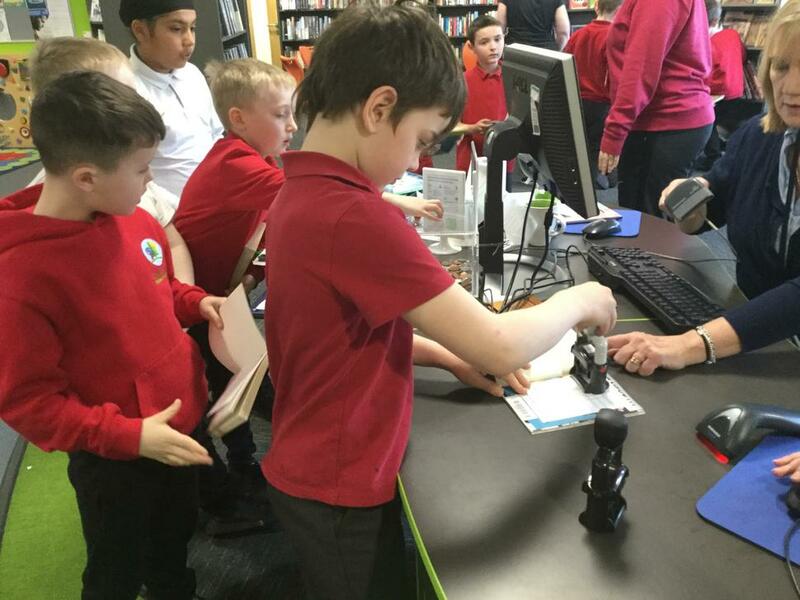 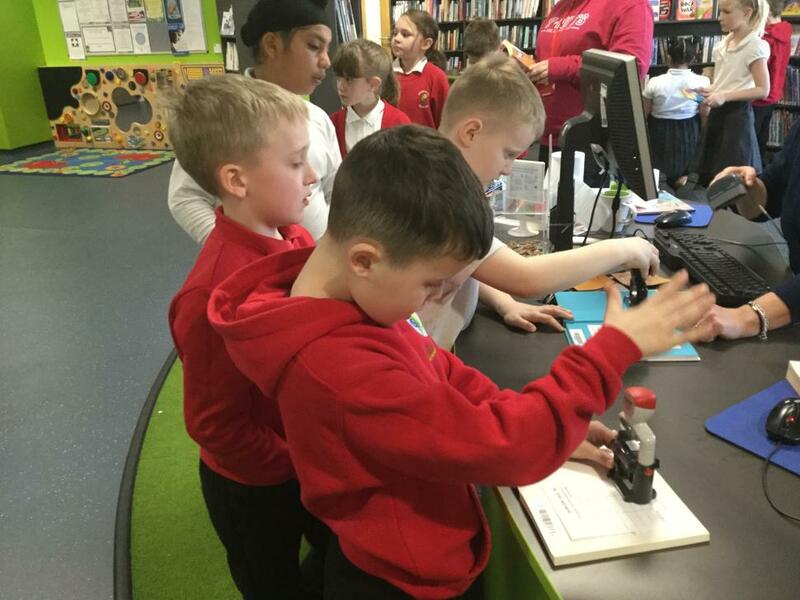 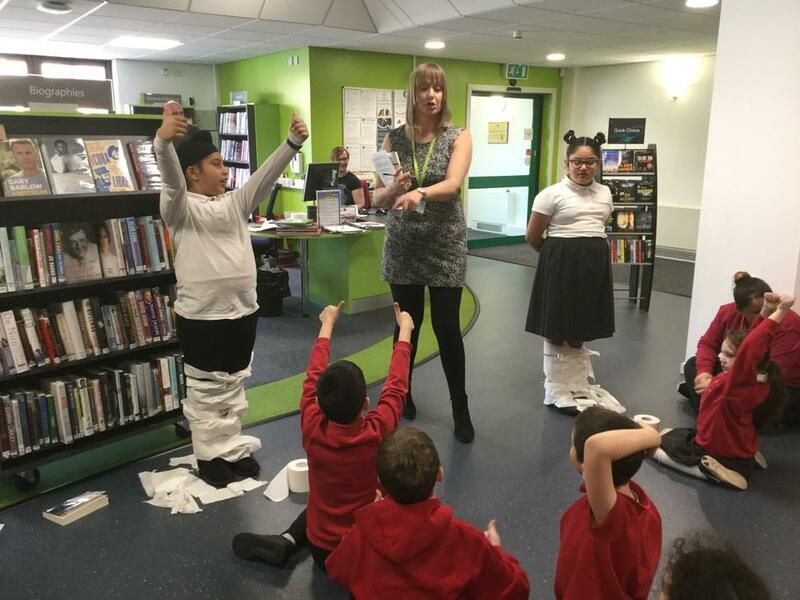 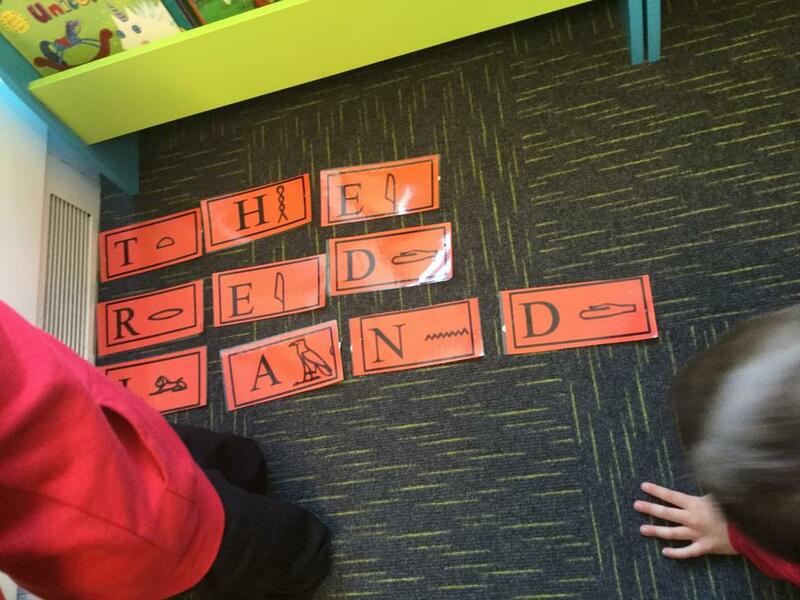 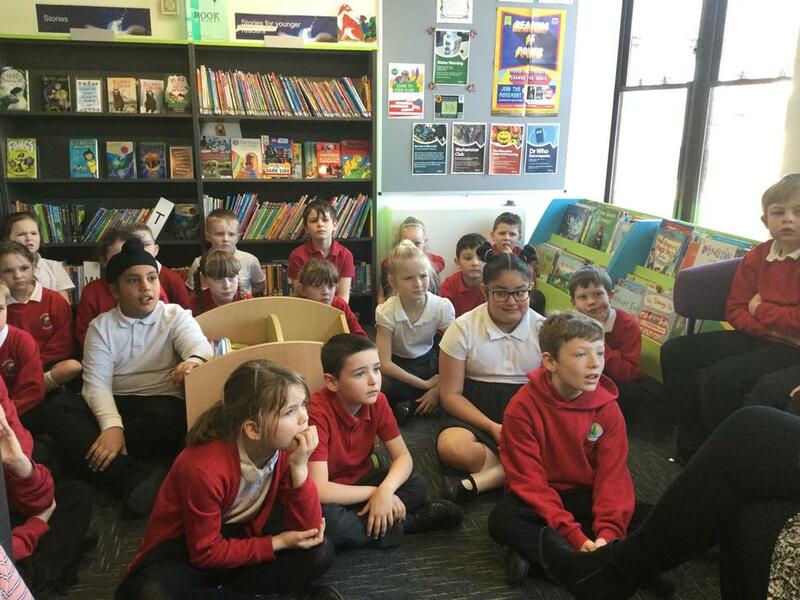 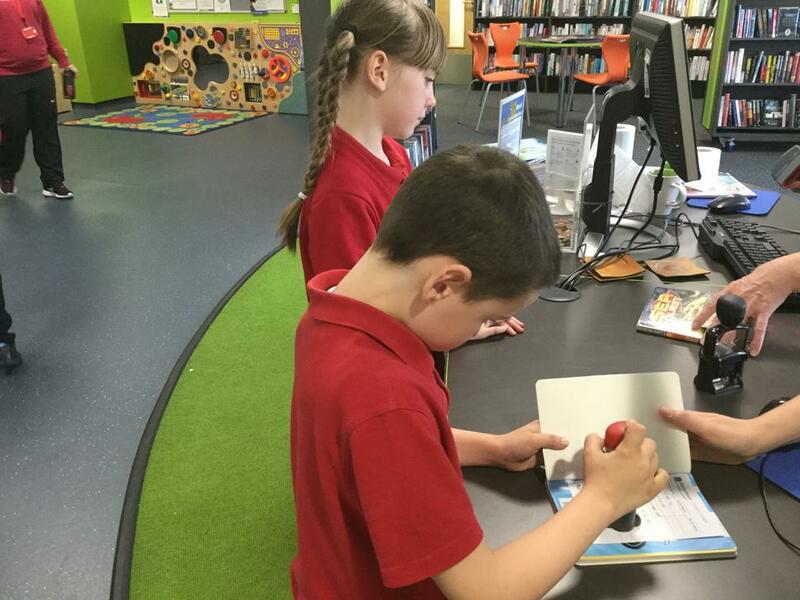 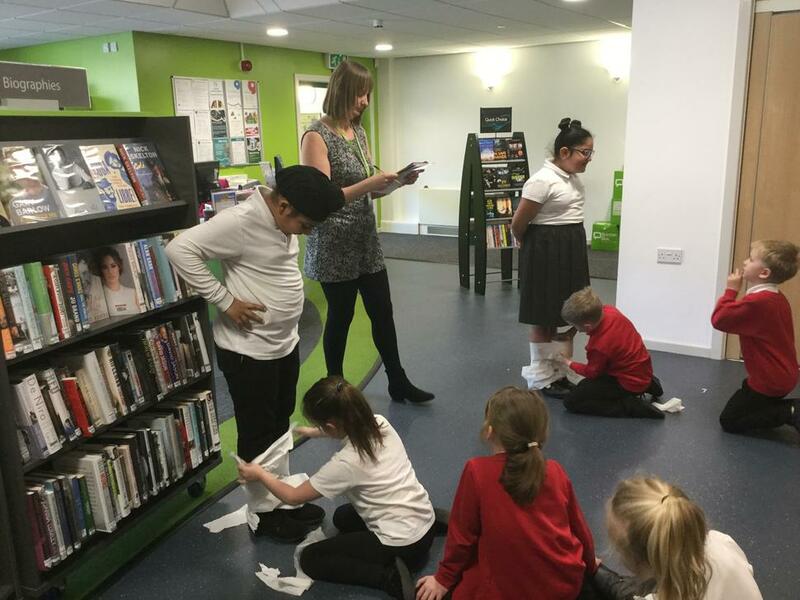 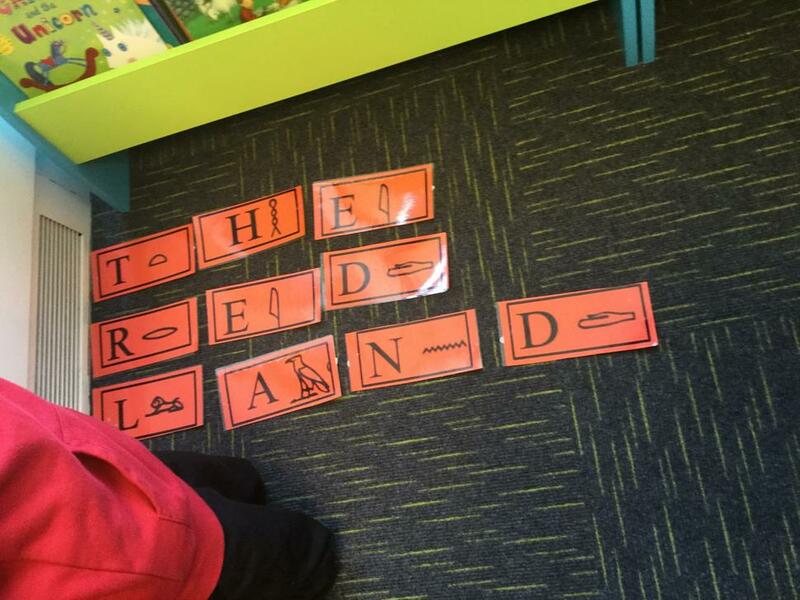 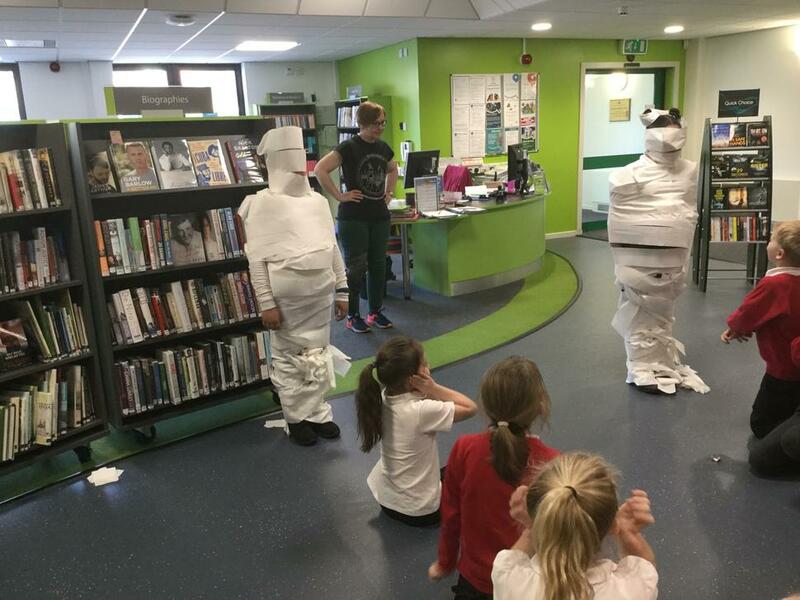 The children enjoyed our visit this the library. 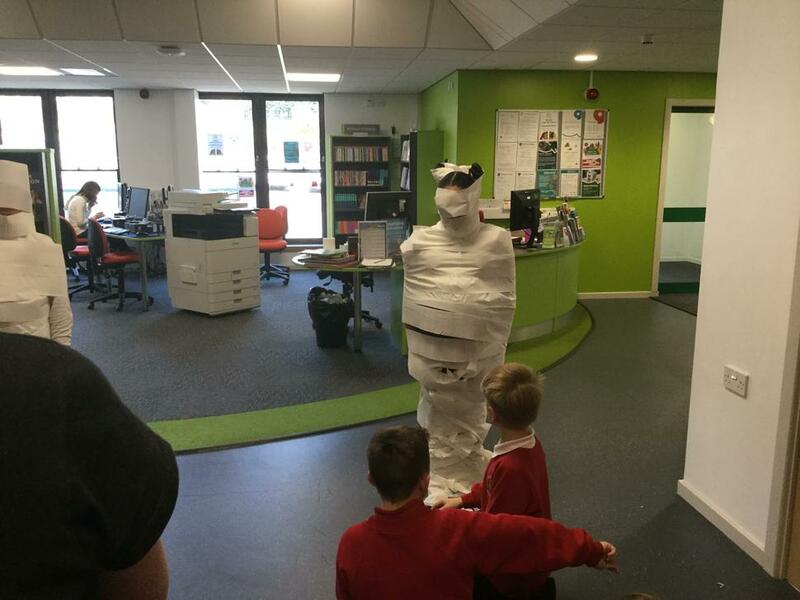 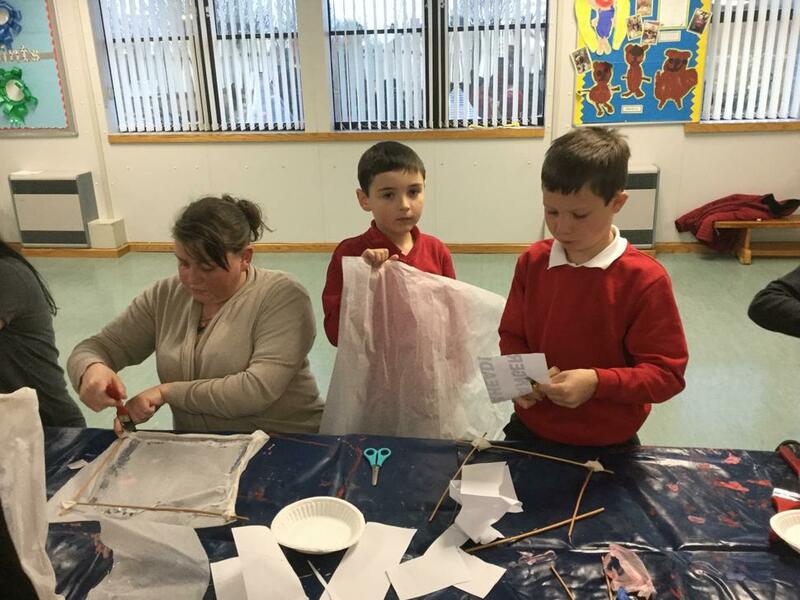 We learned lots of new facts about the Ancient Egyptians and had fun making mummies! 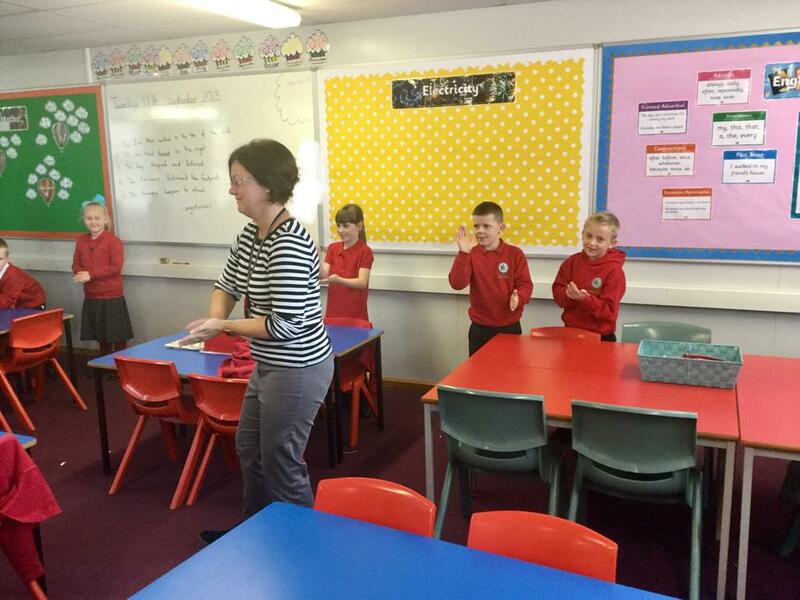 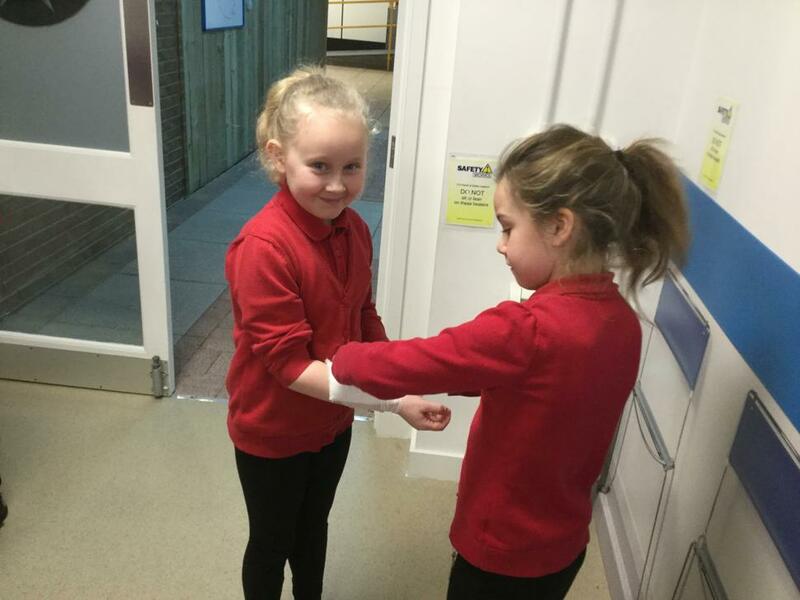 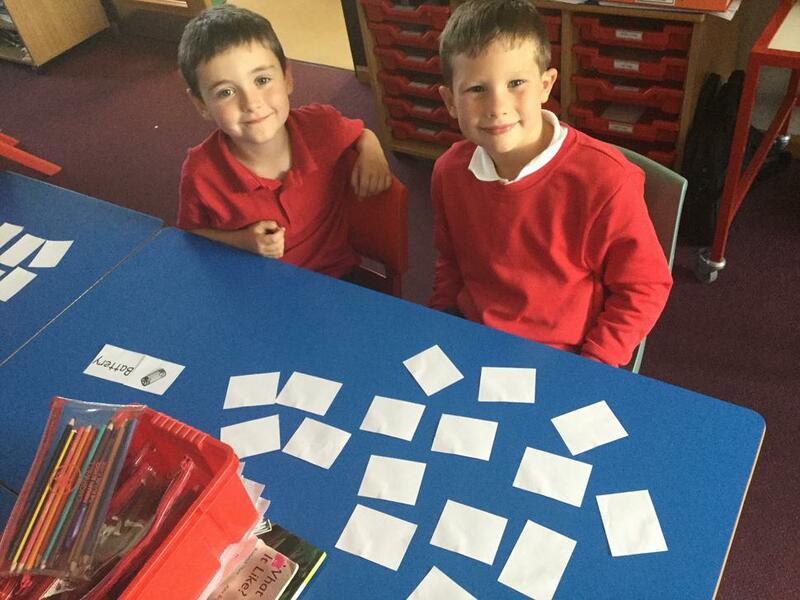 The children have enjoyed learning the names of body parts in French. 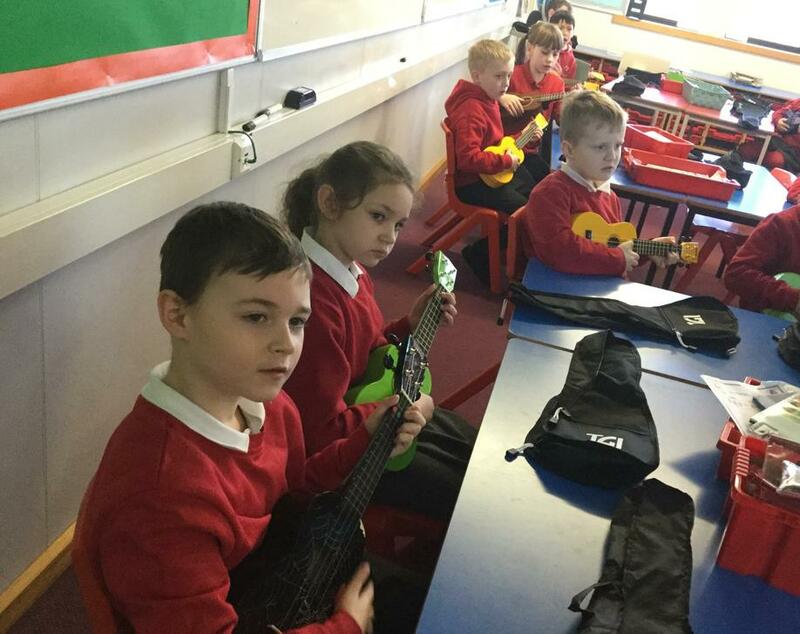 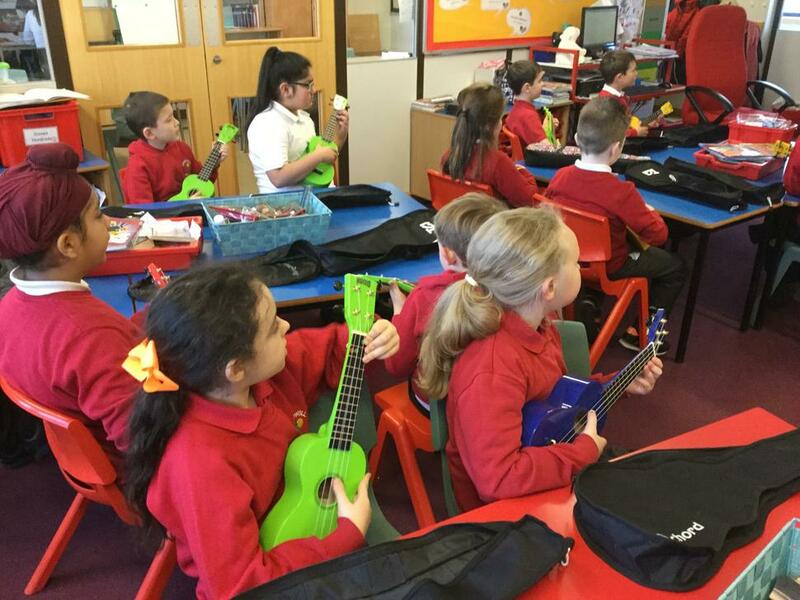 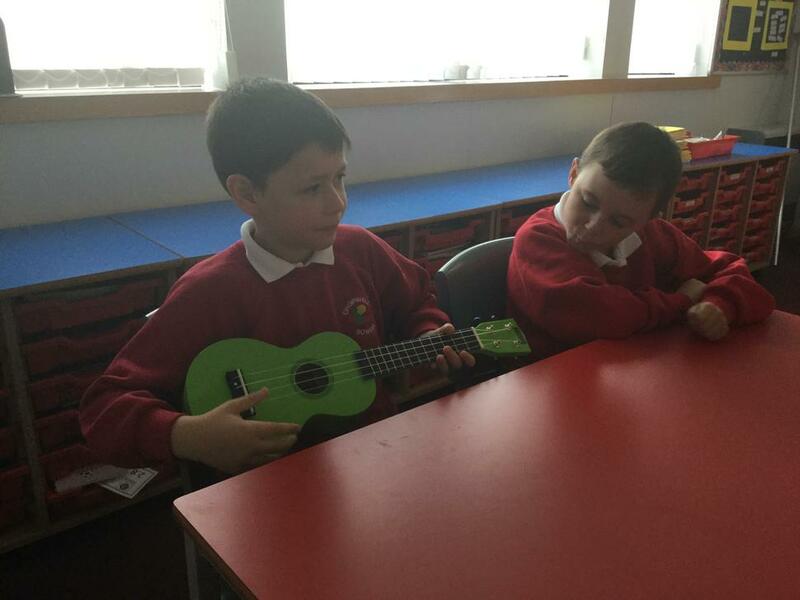 The children have been learning new songs for our ukulele performance on Tuesday 12th February at 9.30am. 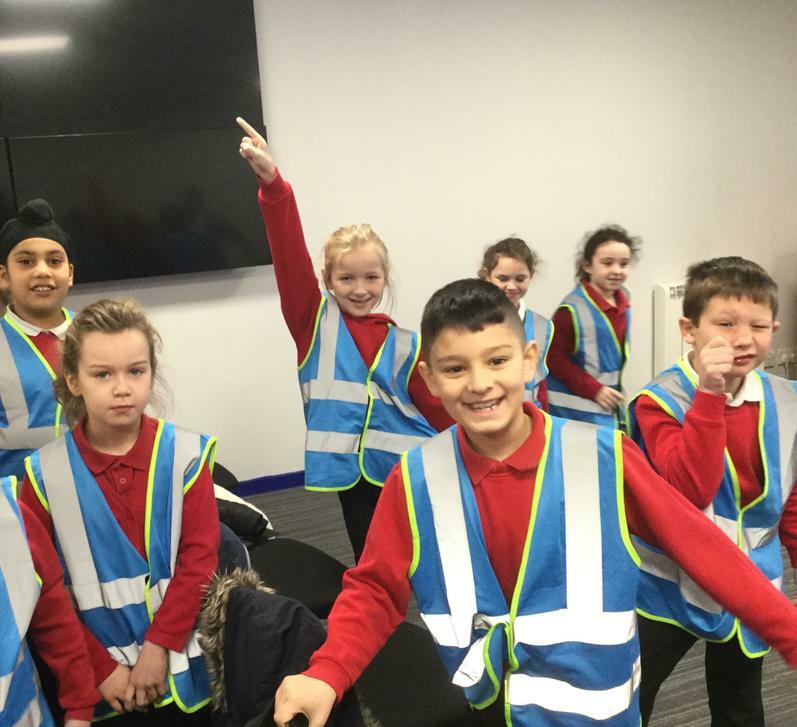 We look forward to seeing you all there! 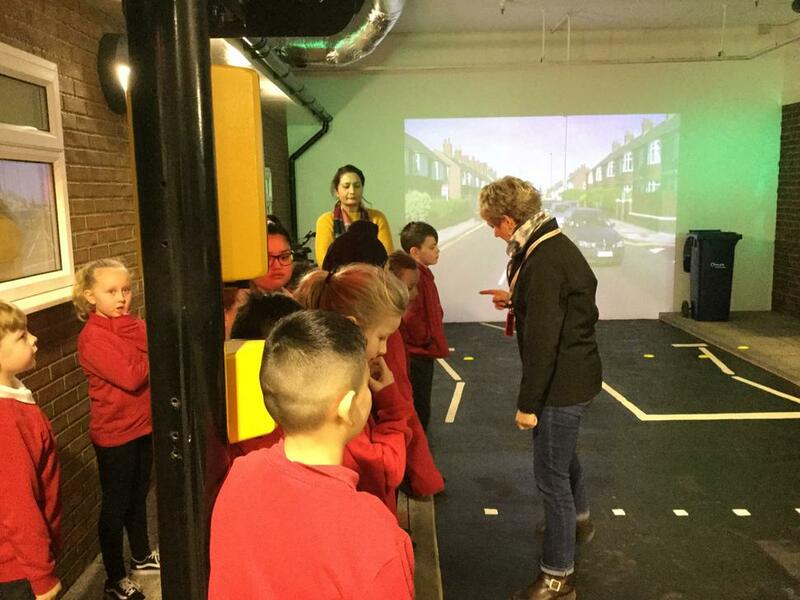 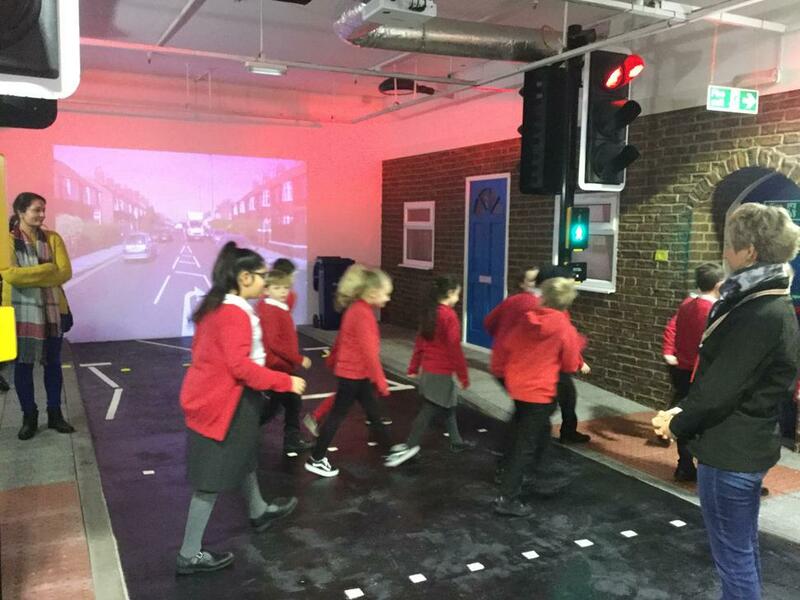 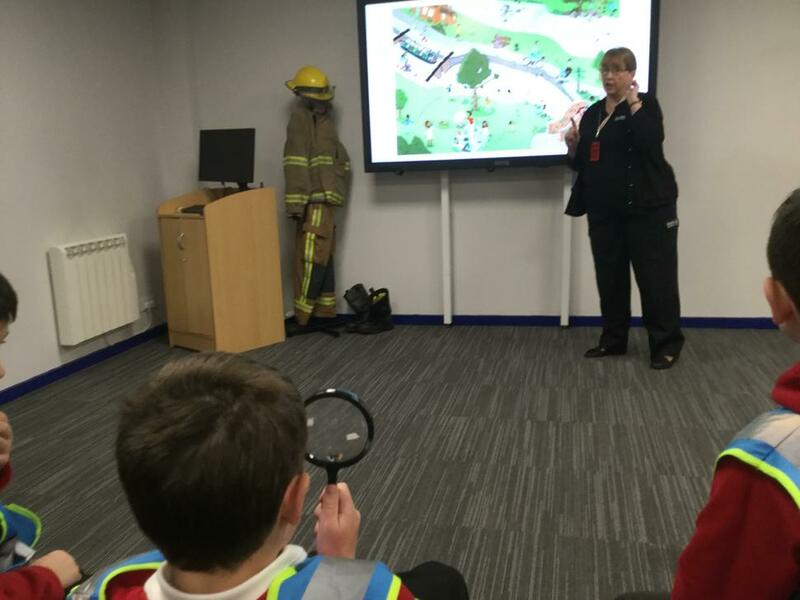 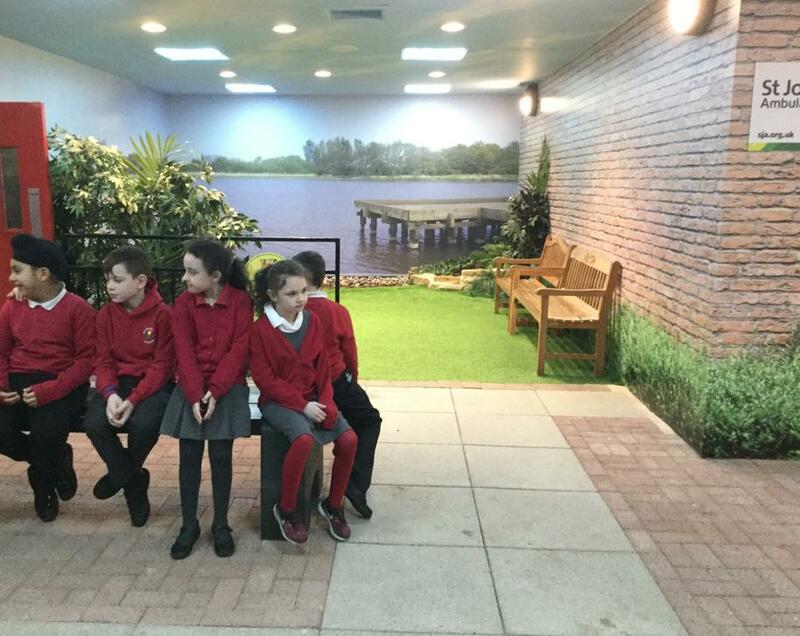 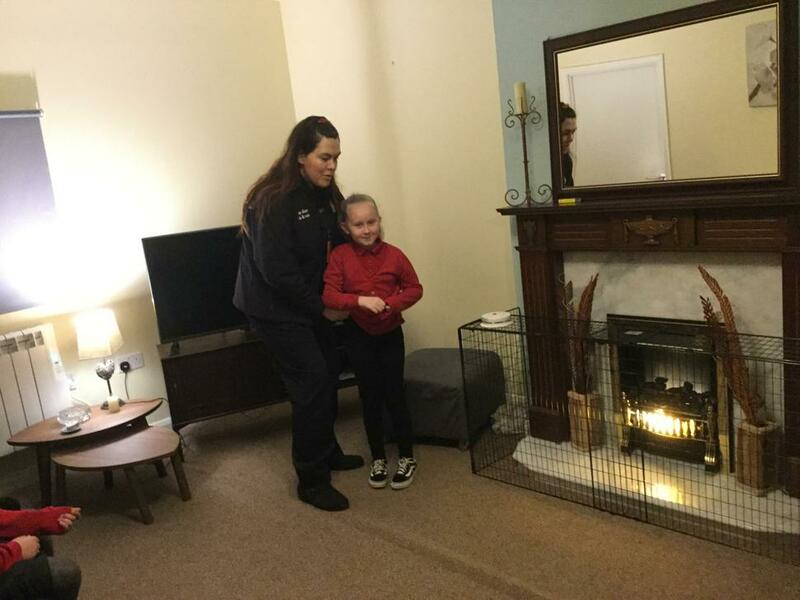 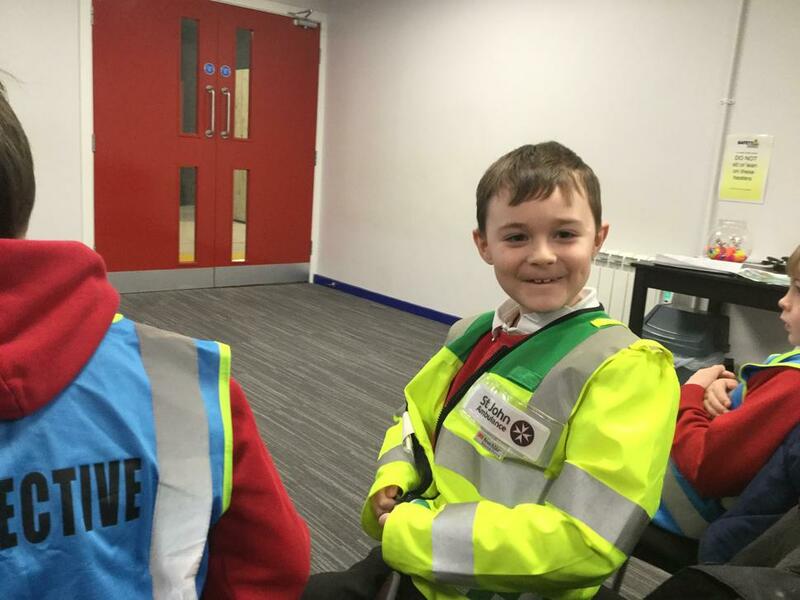 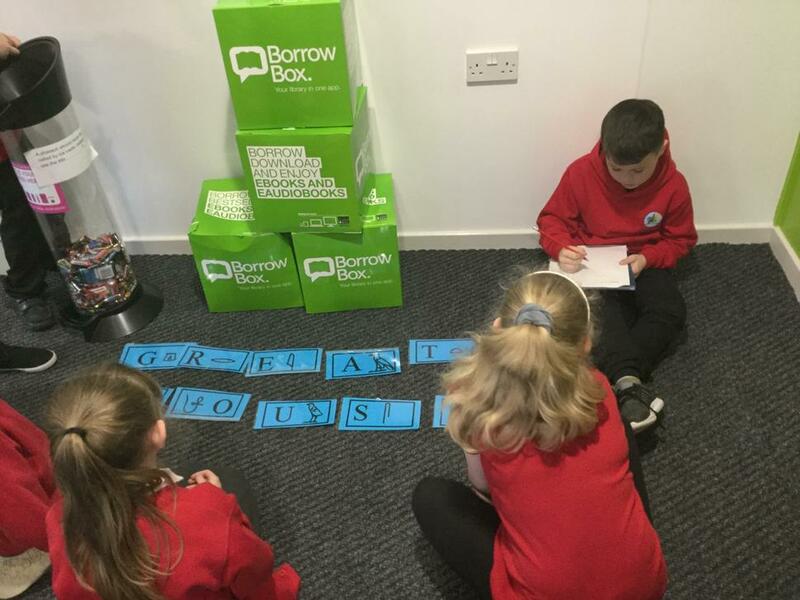 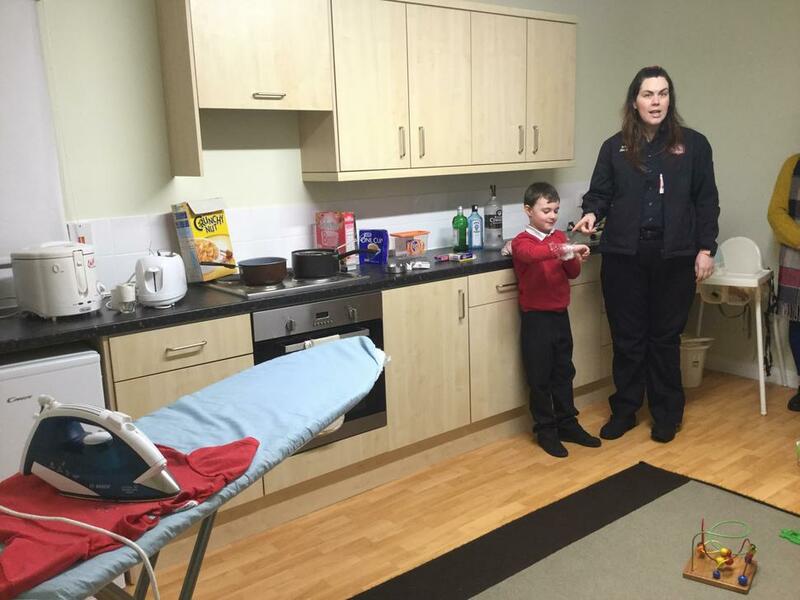 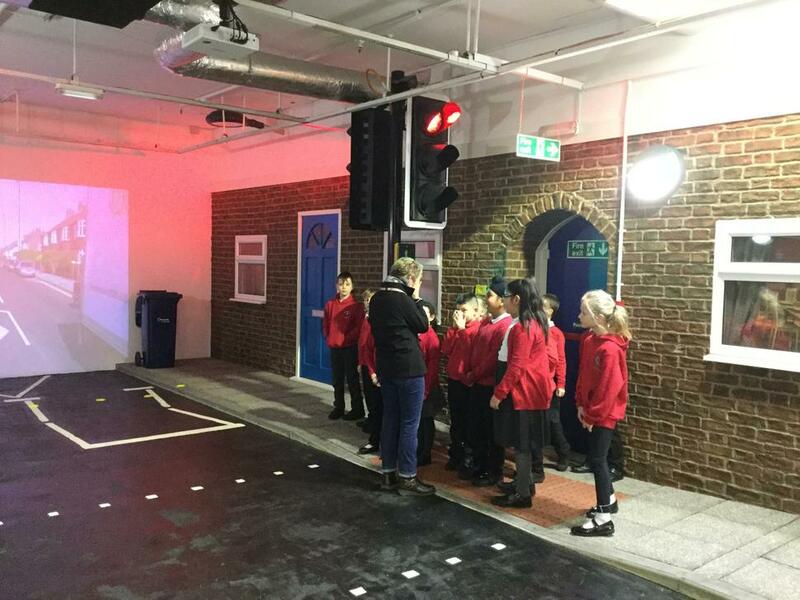 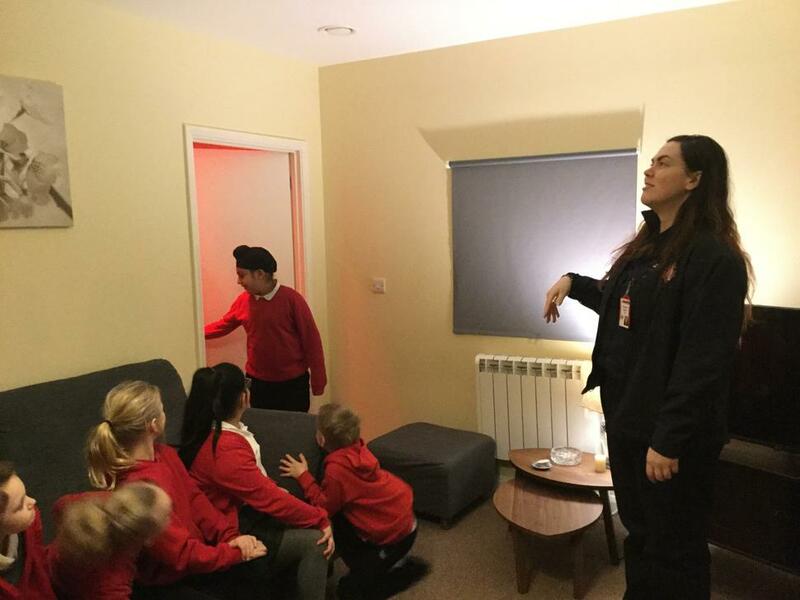 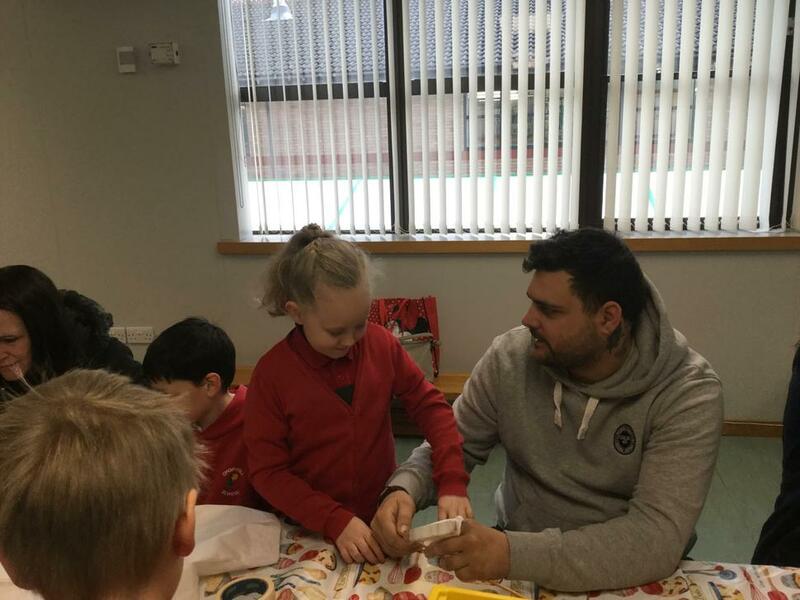 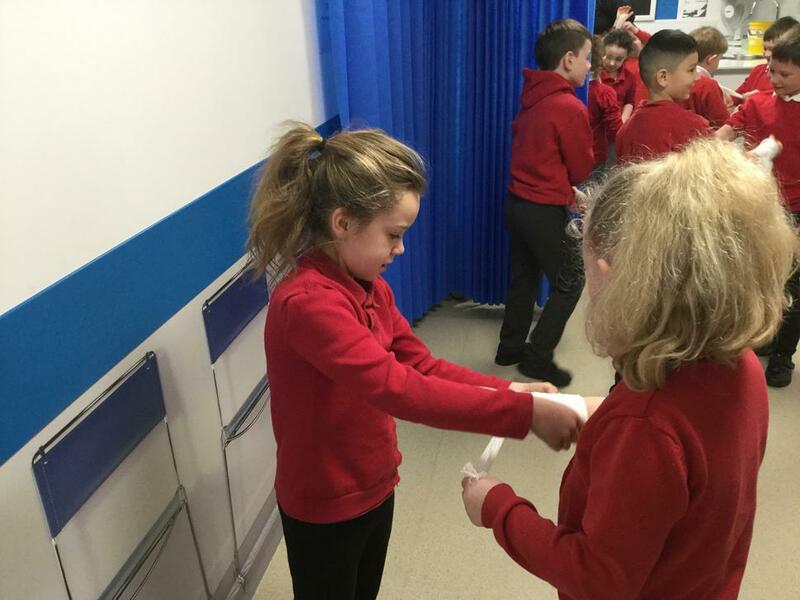 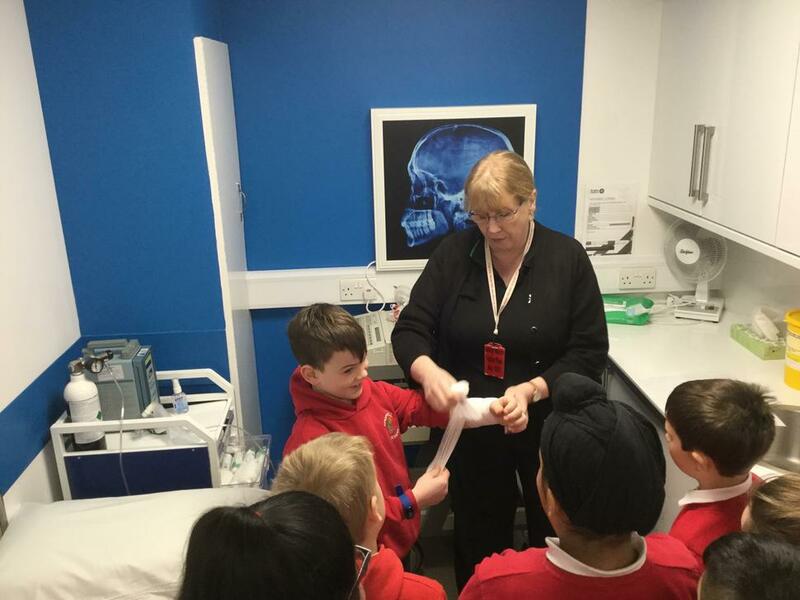 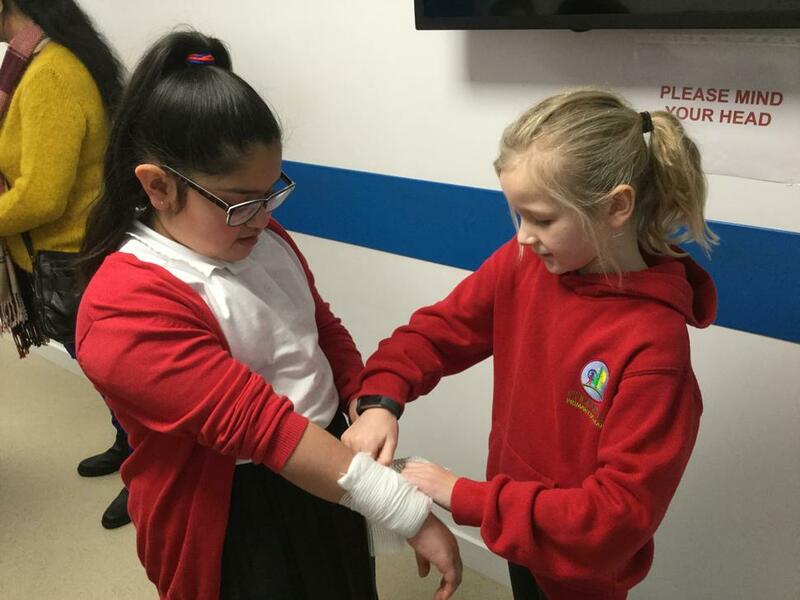 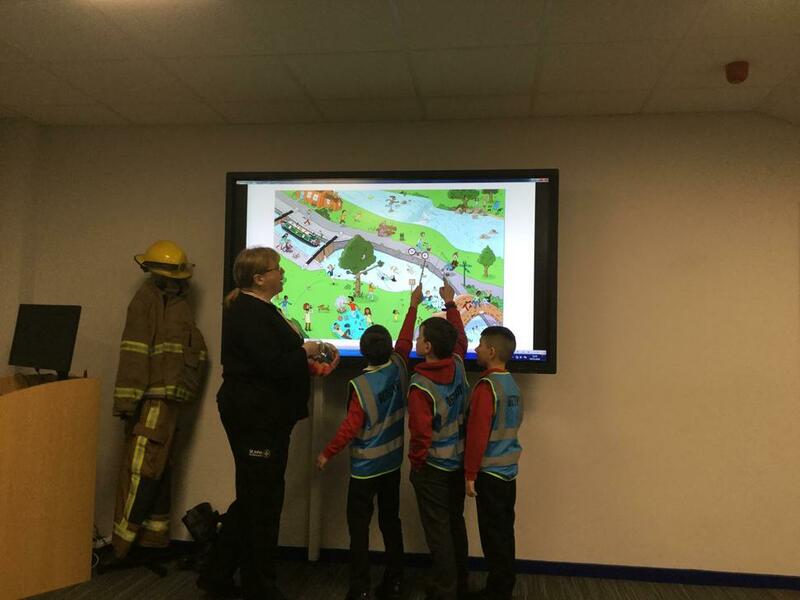 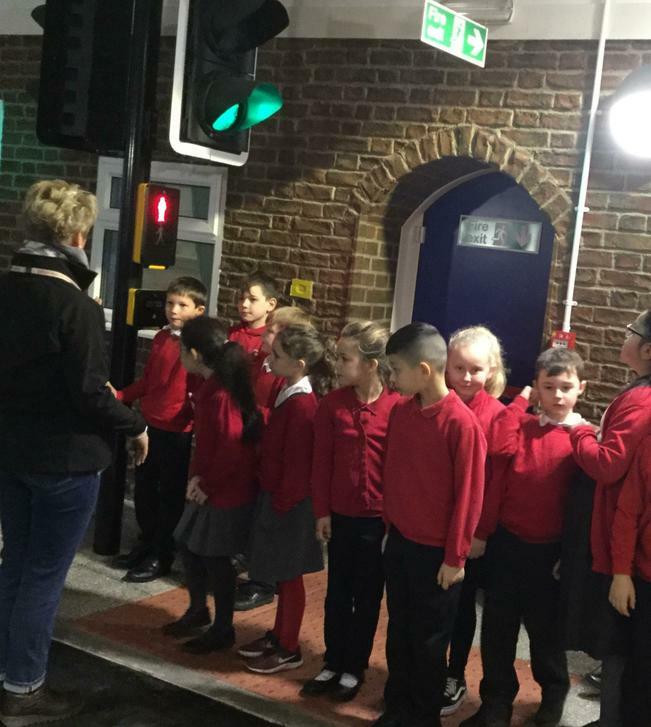 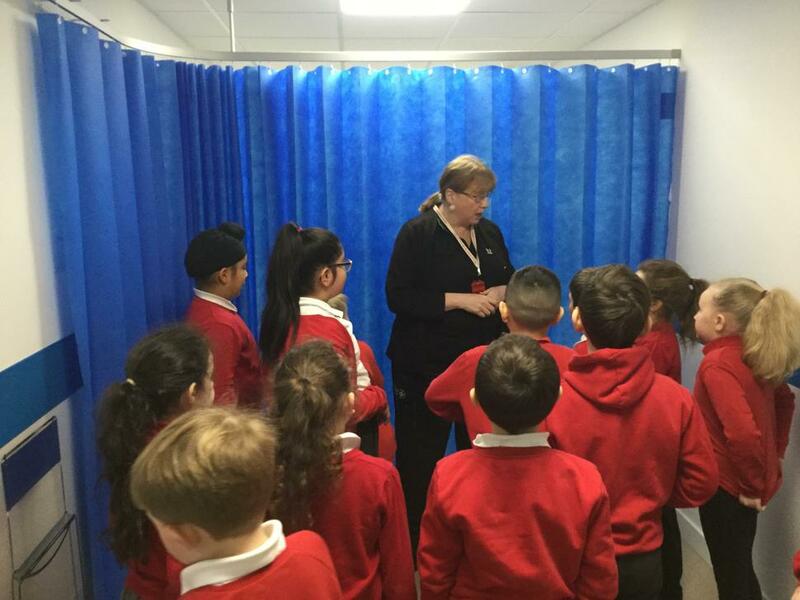 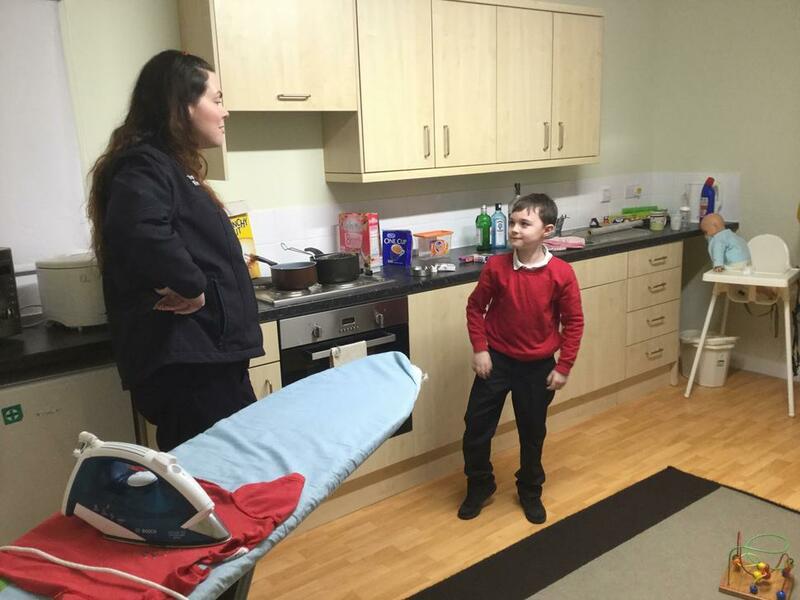 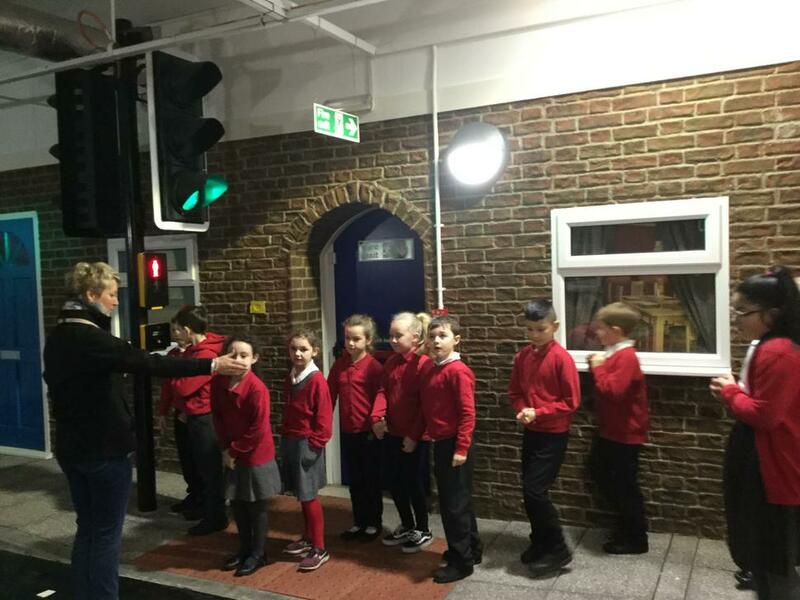 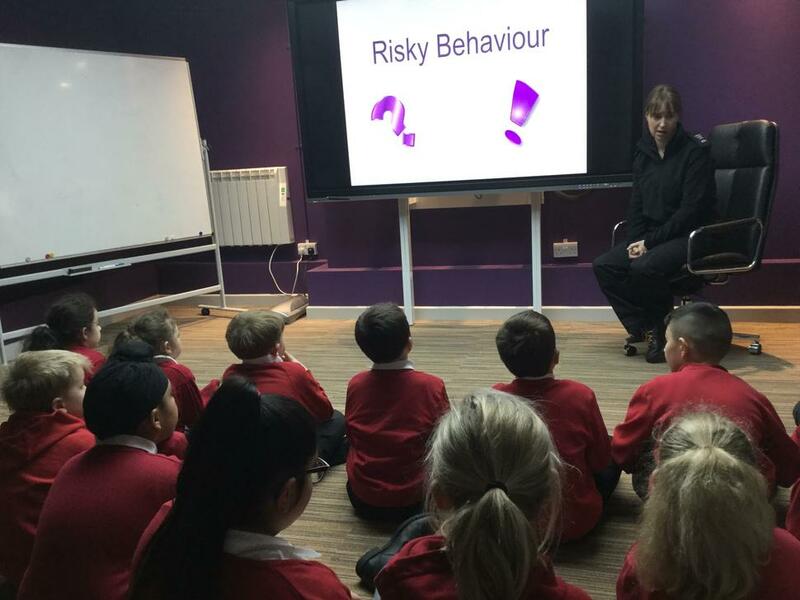 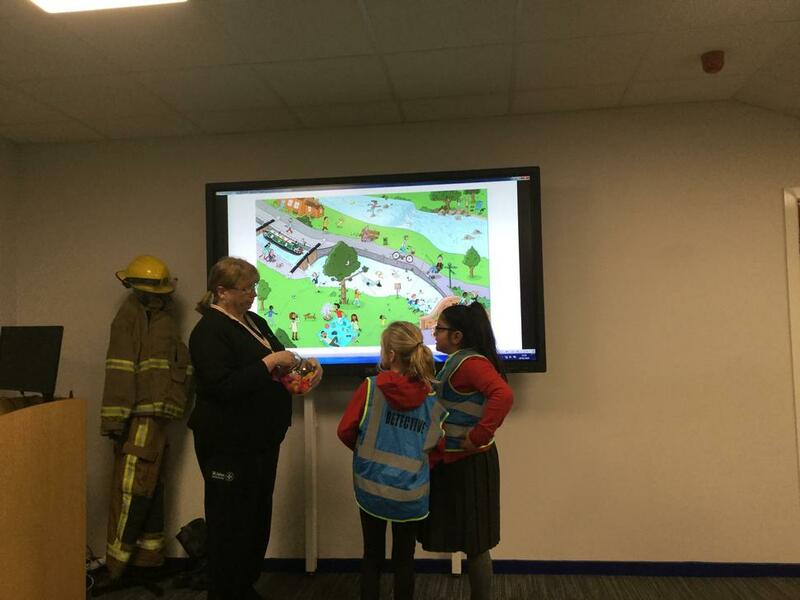 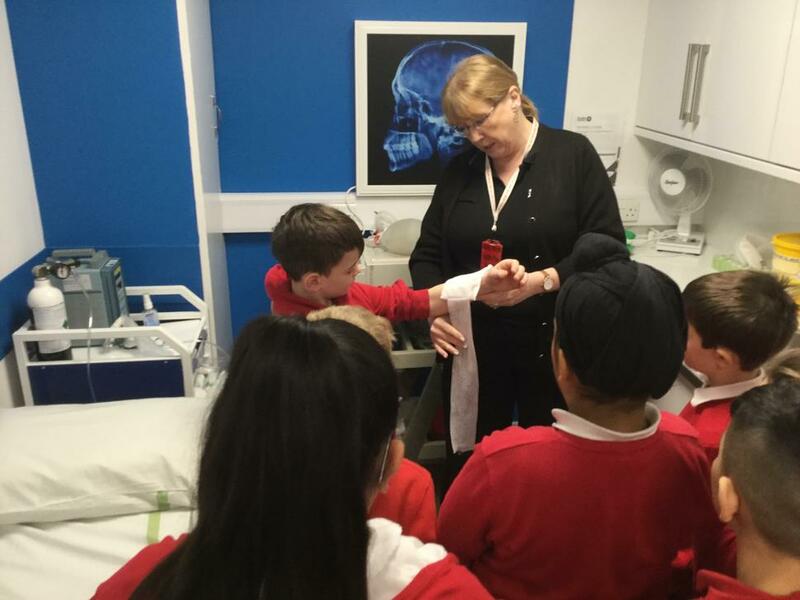 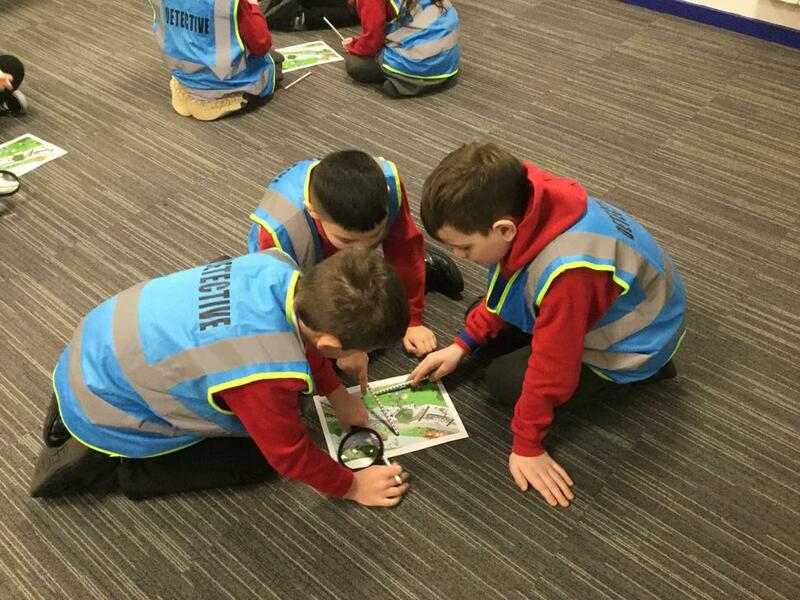 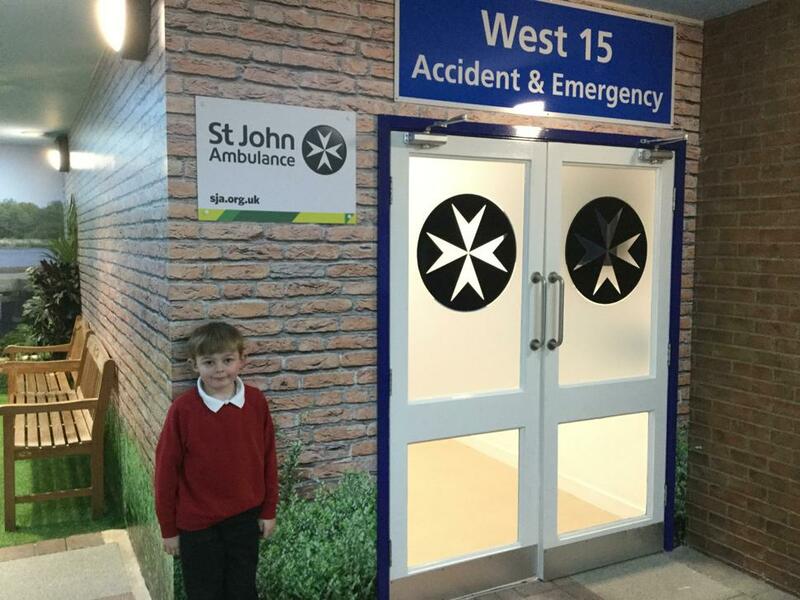 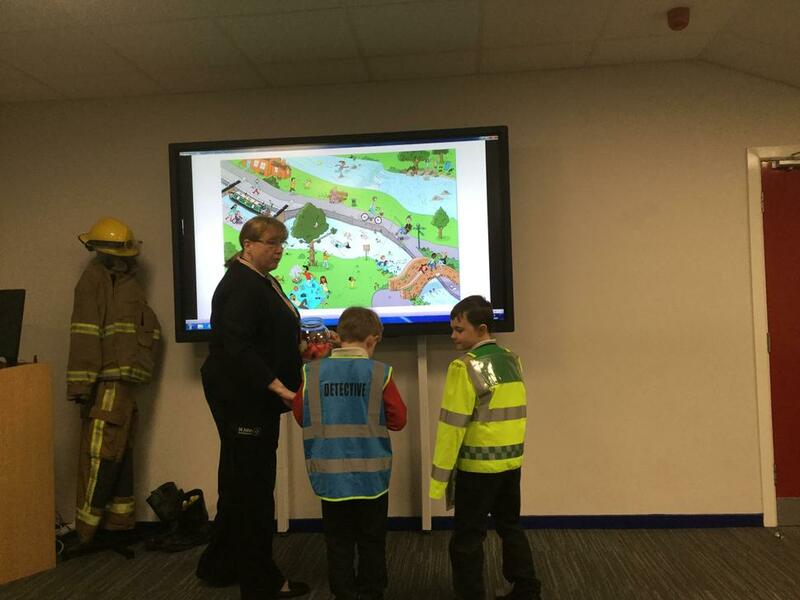 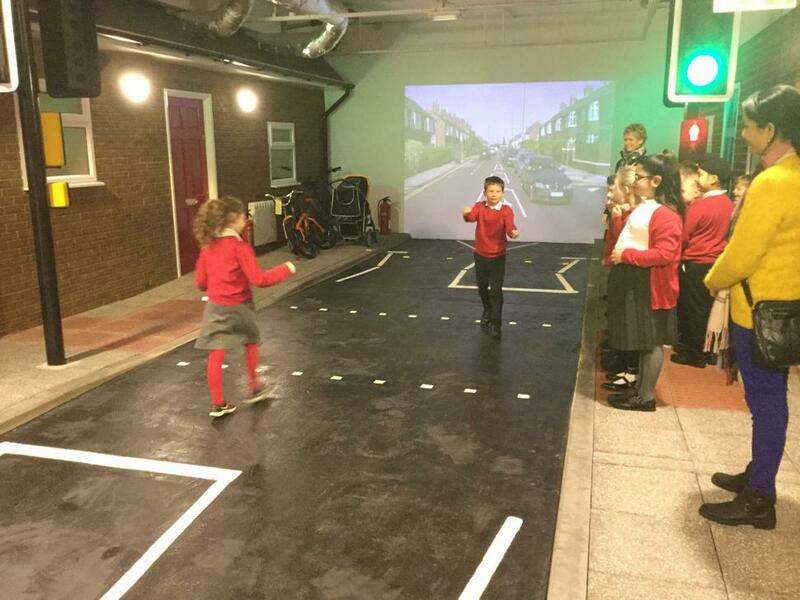 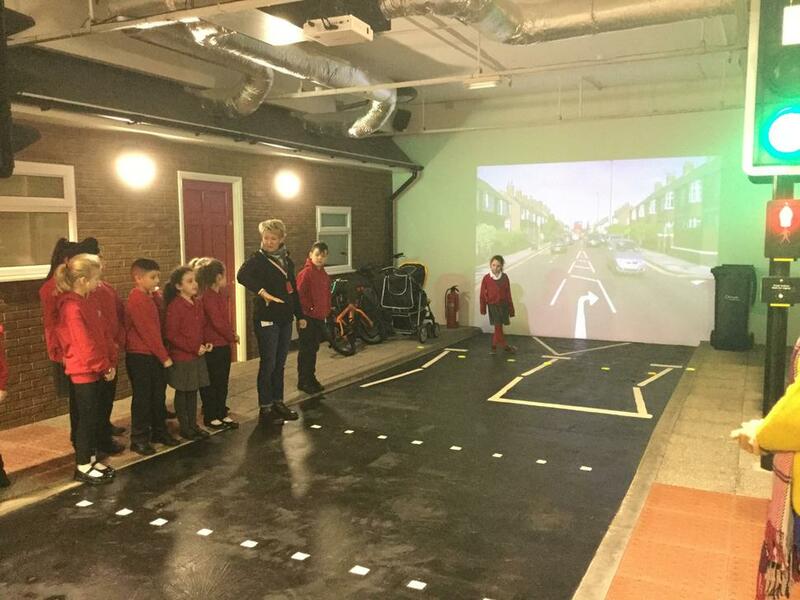 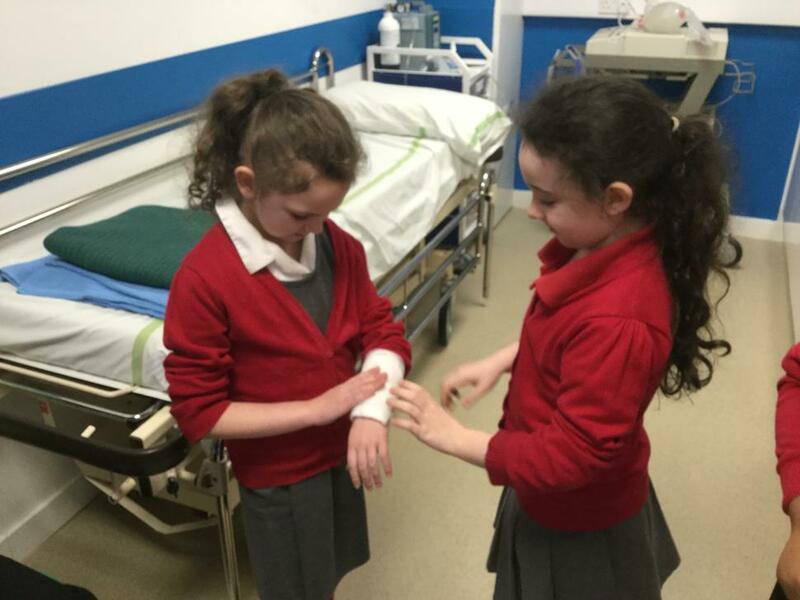 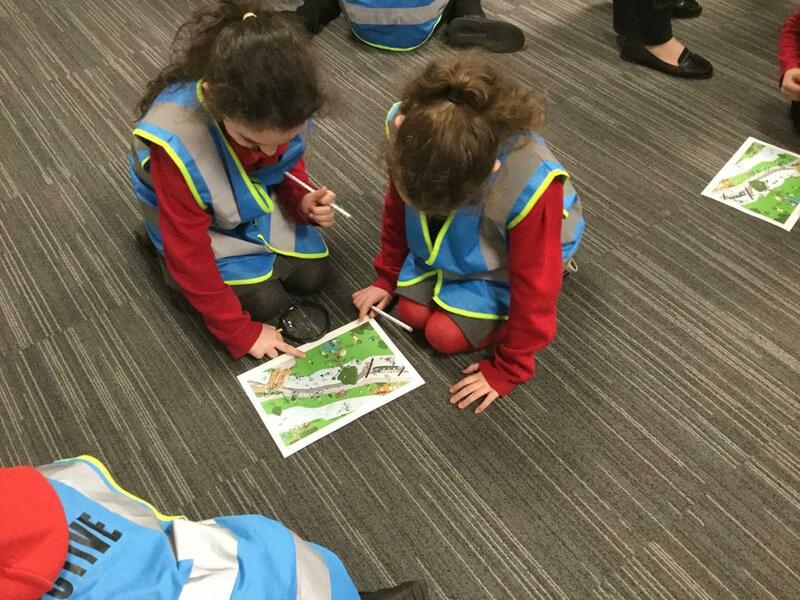 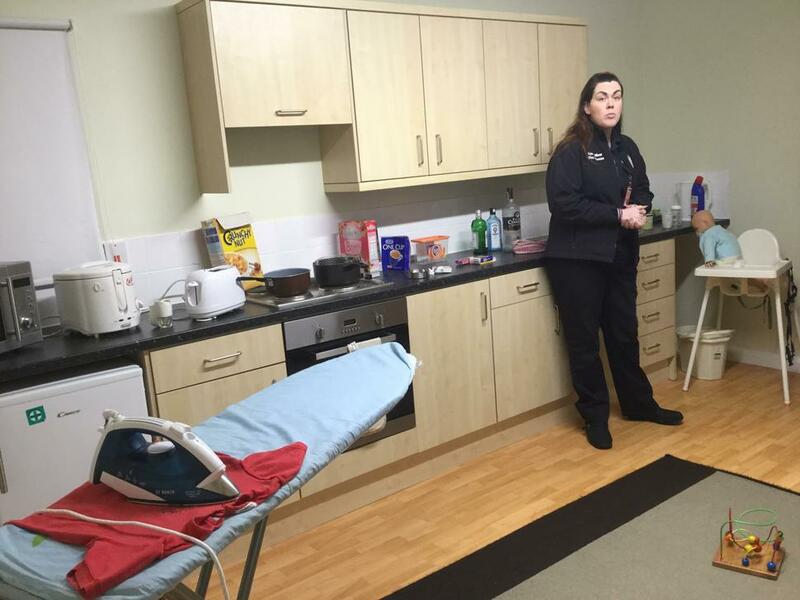 The children enjoyed our visit to the safetyworks centre in Newcastle. 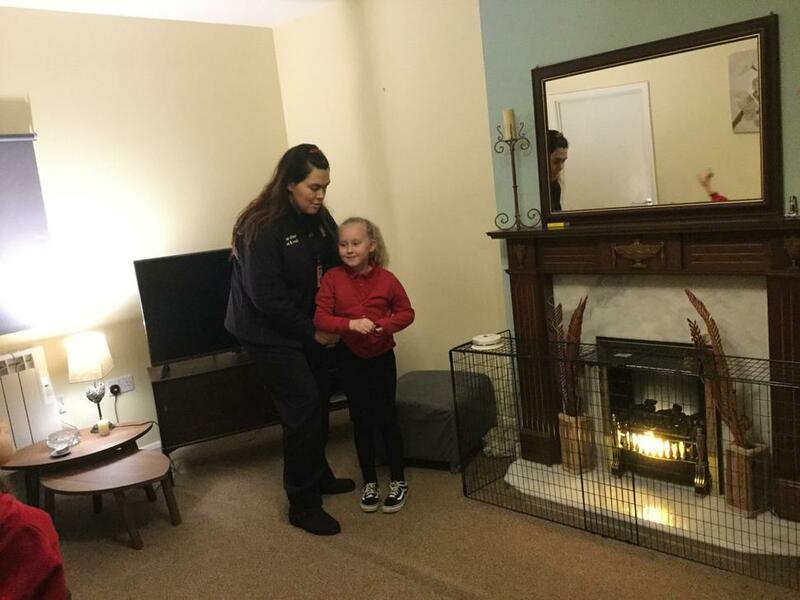 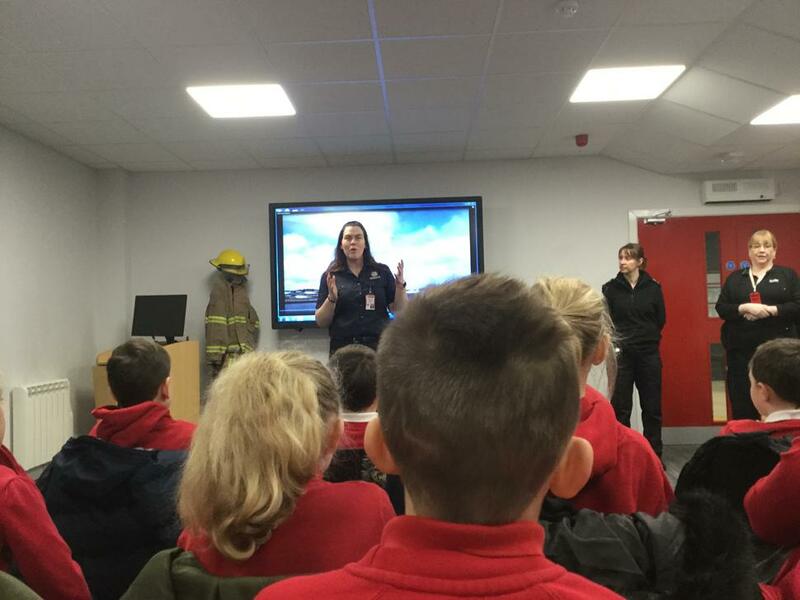 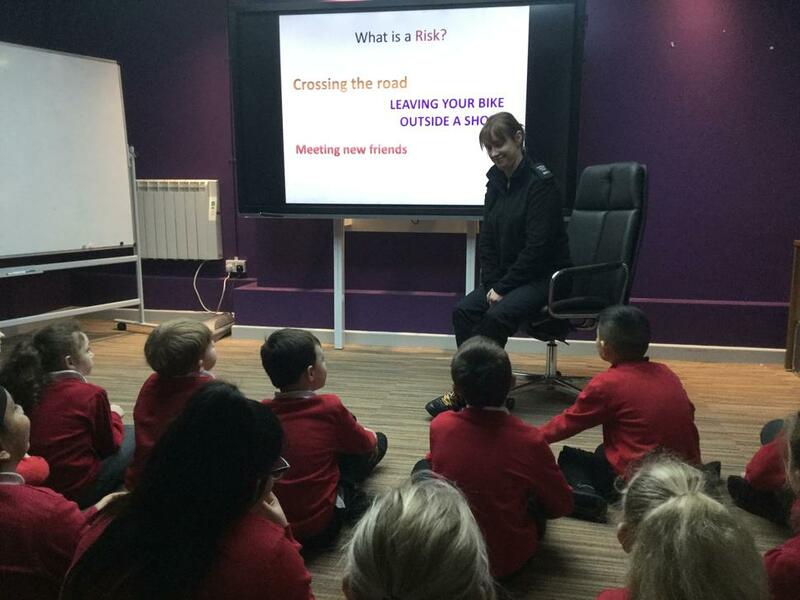 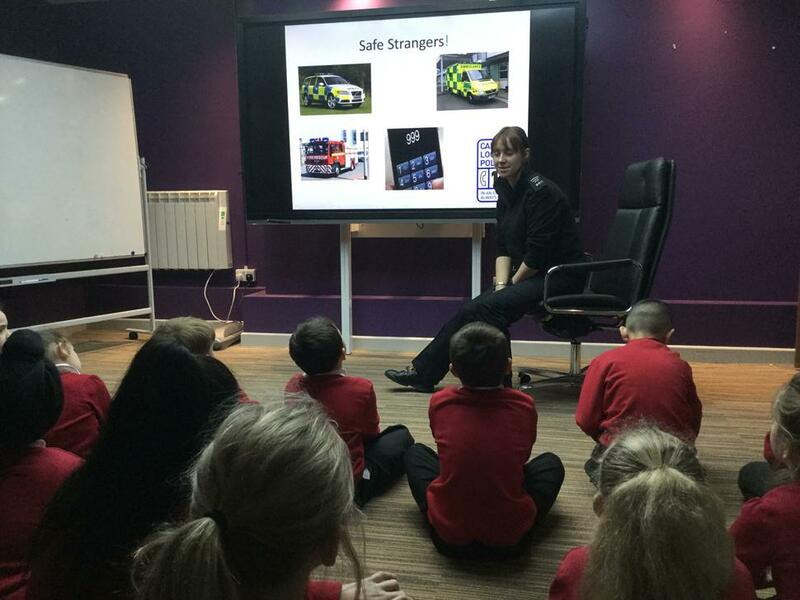 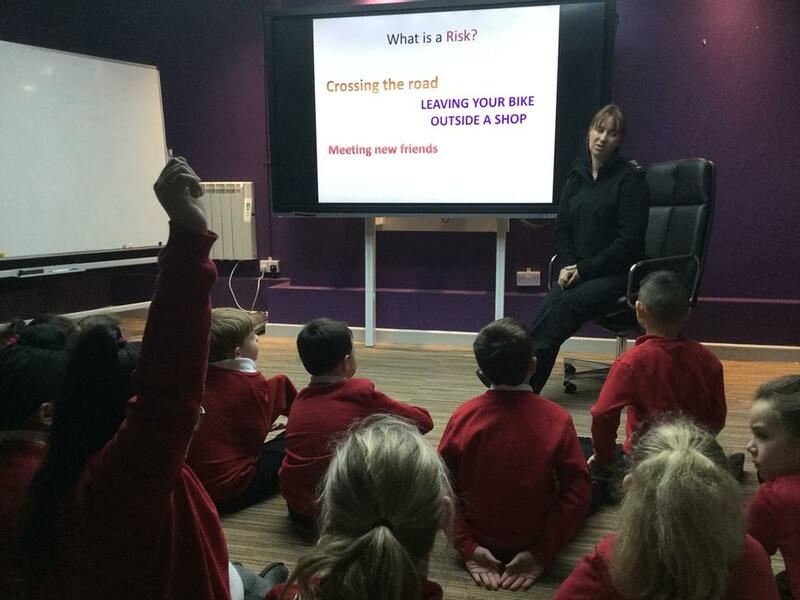 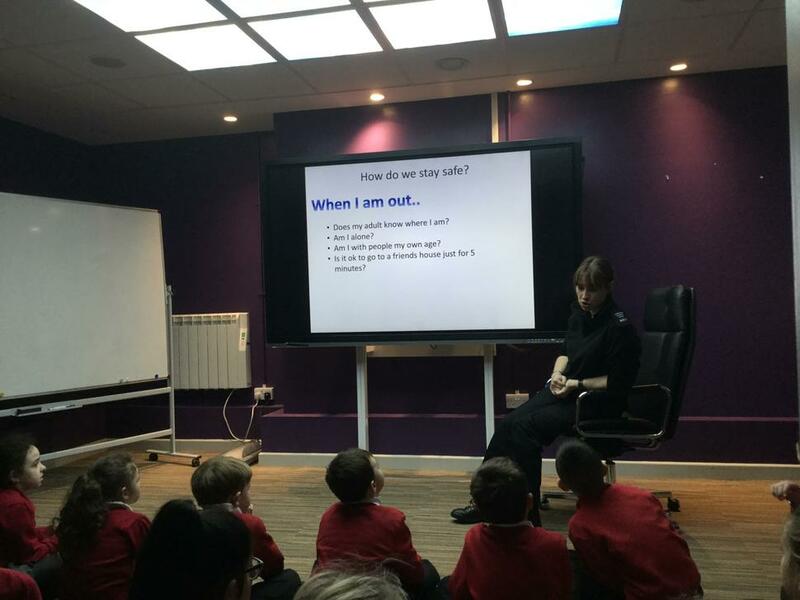 We learned all about fire safety, road safety, how to stay safe online and what to do in an emergency. 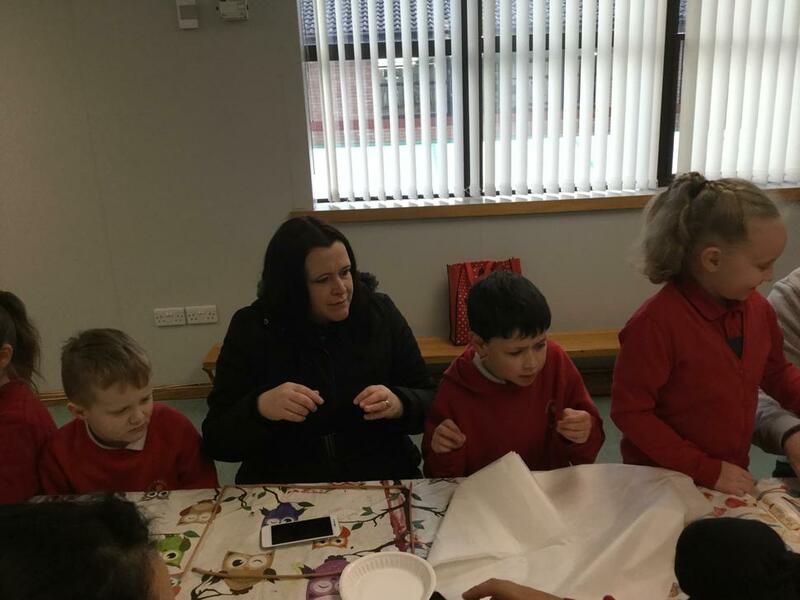 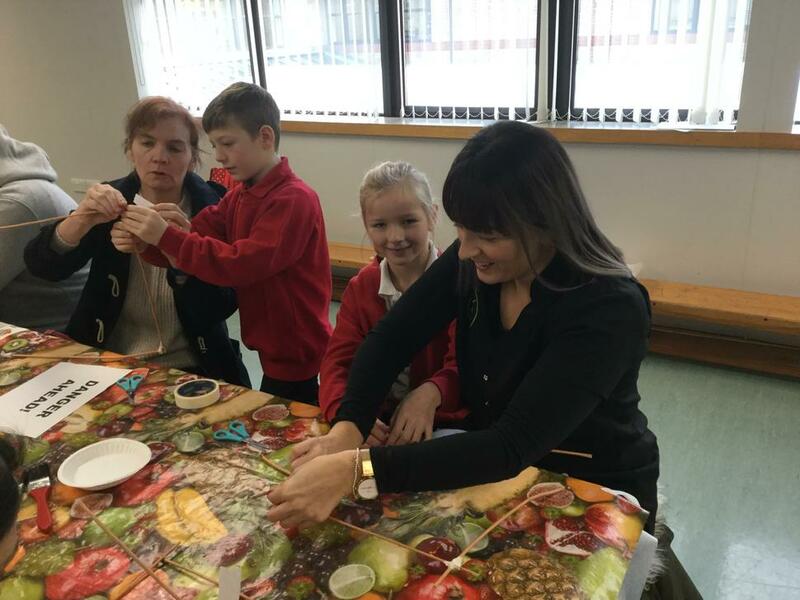 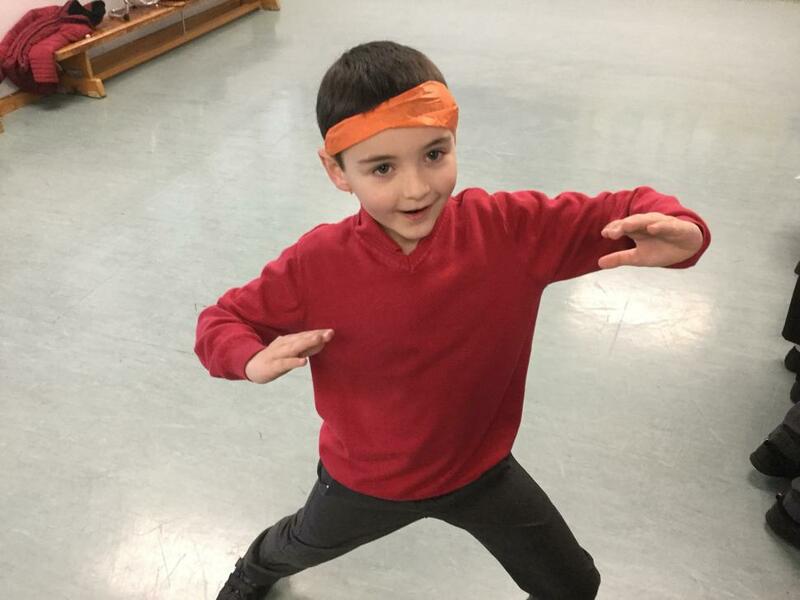 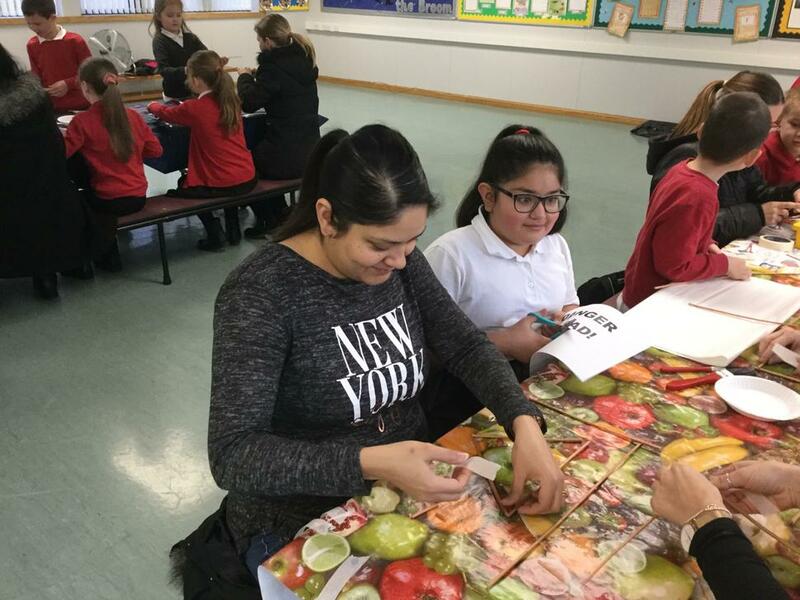 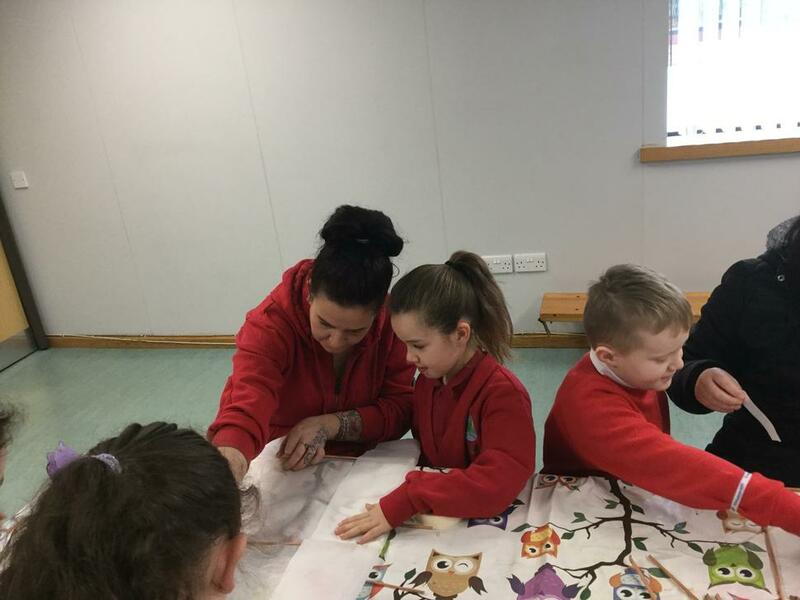 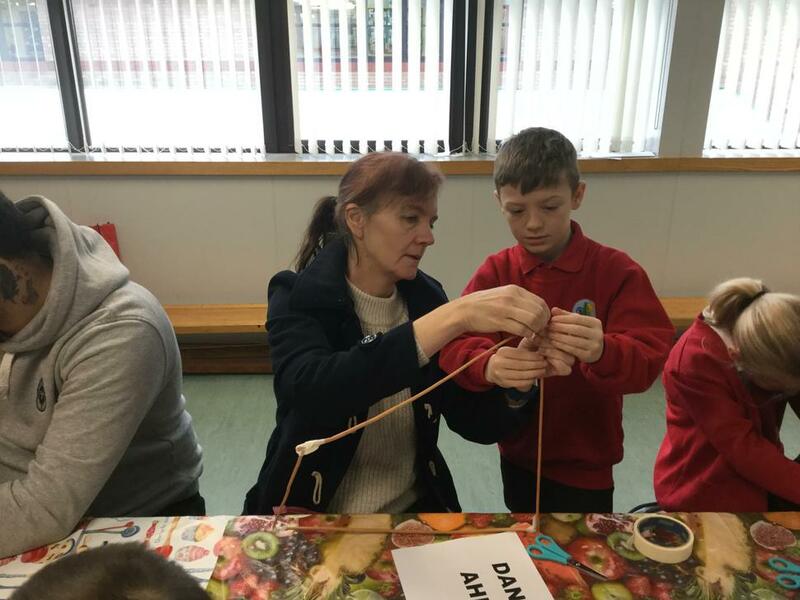 The children had a lot of fun at our parent workshop. 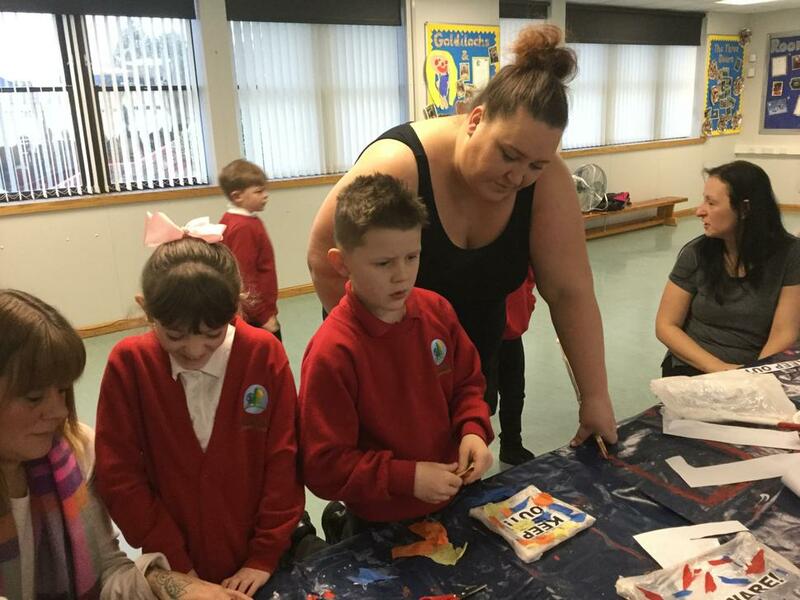 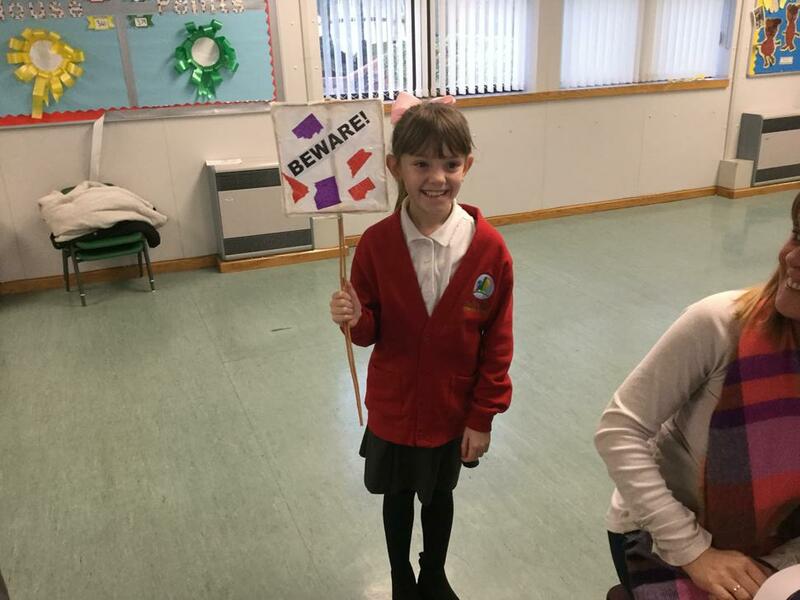 We created signs for our Lumiere event using wicker, masking tape, tissue paper and a pva glue and water mix. 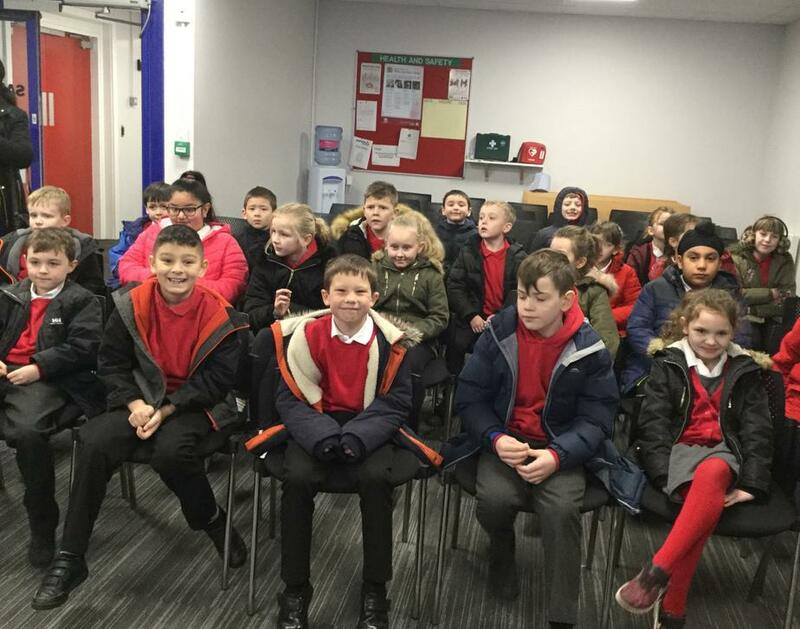 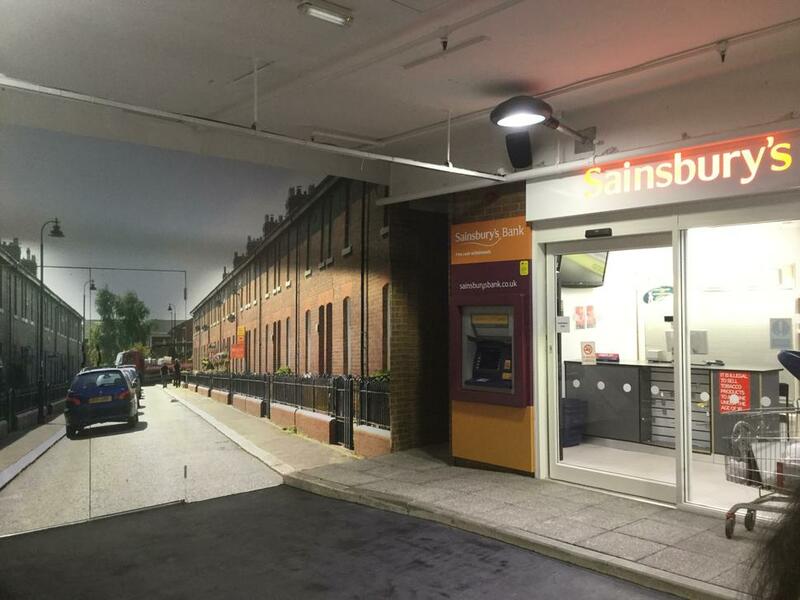 Thank you for coming along! 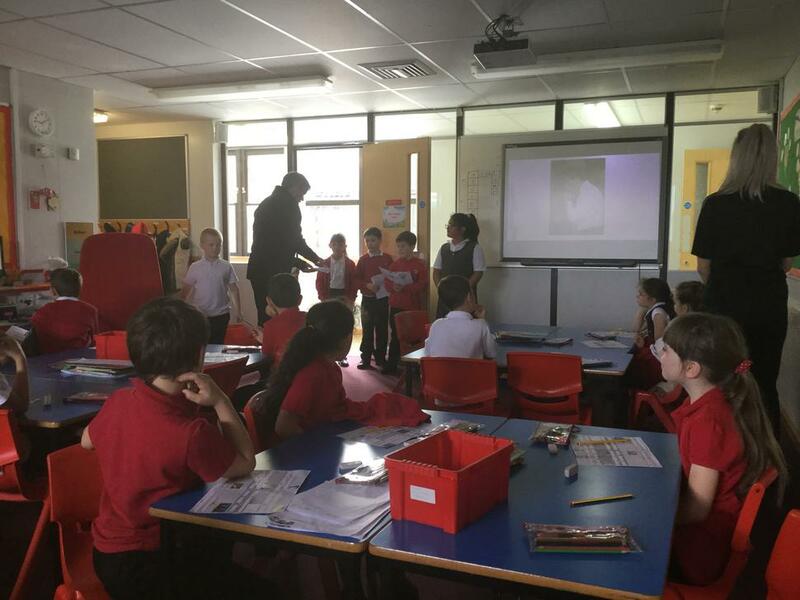 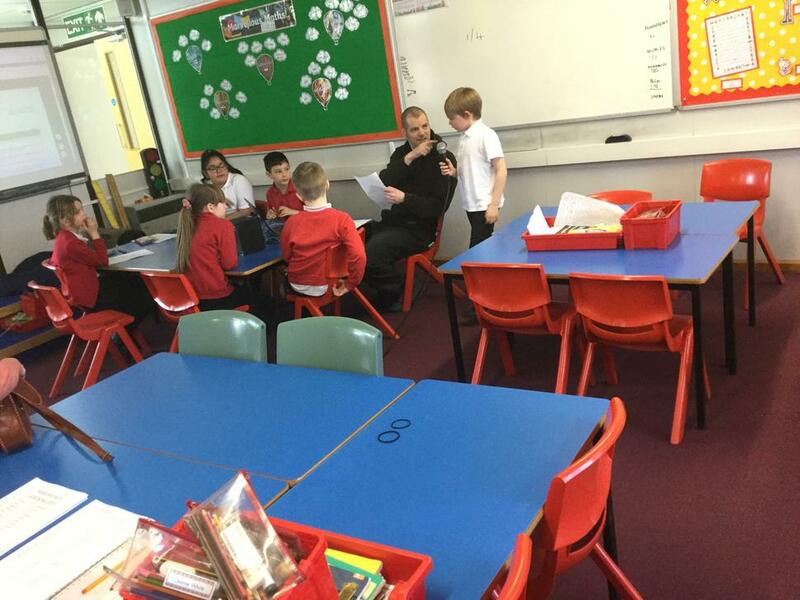 The children have enjoyed having the NUFC coaches in class and have been learning how to make healthy lifestyle choices. 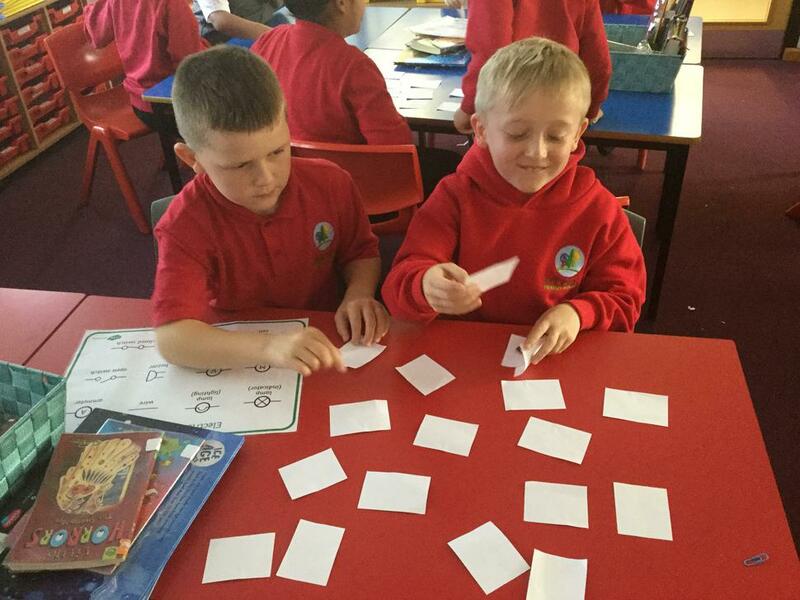 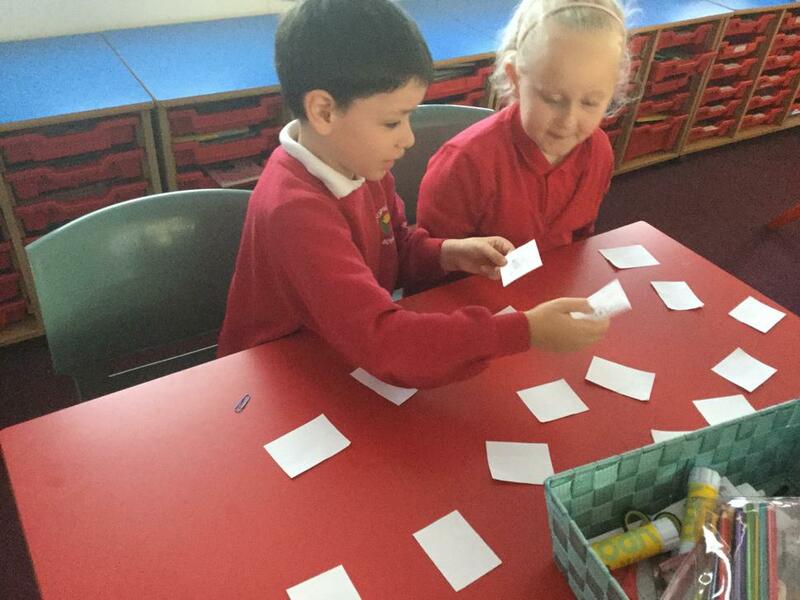 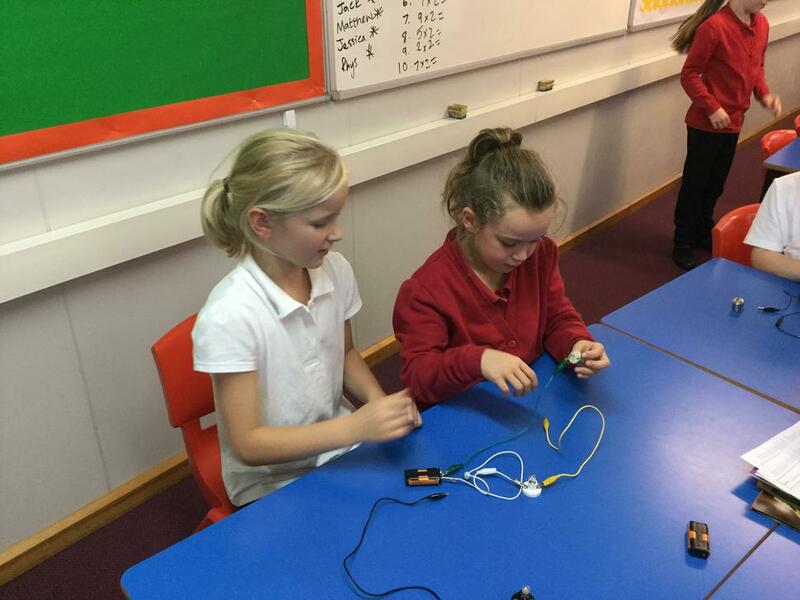 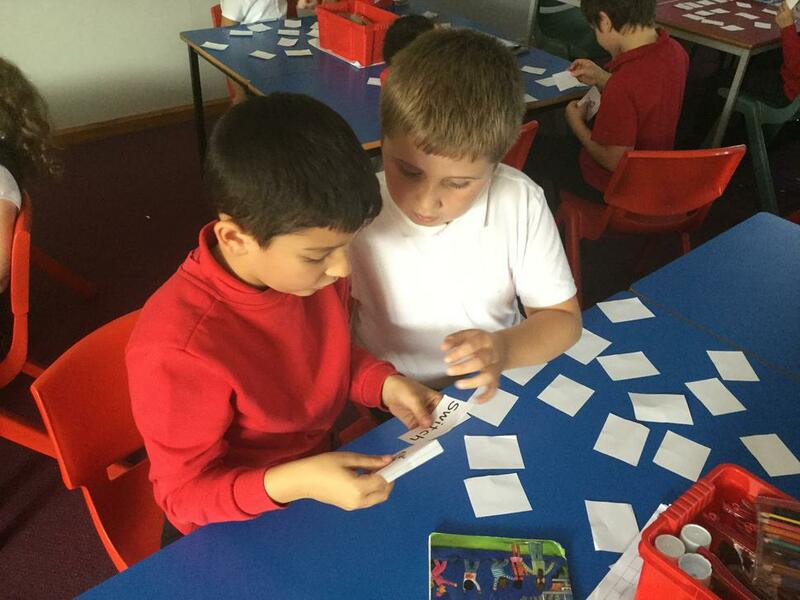 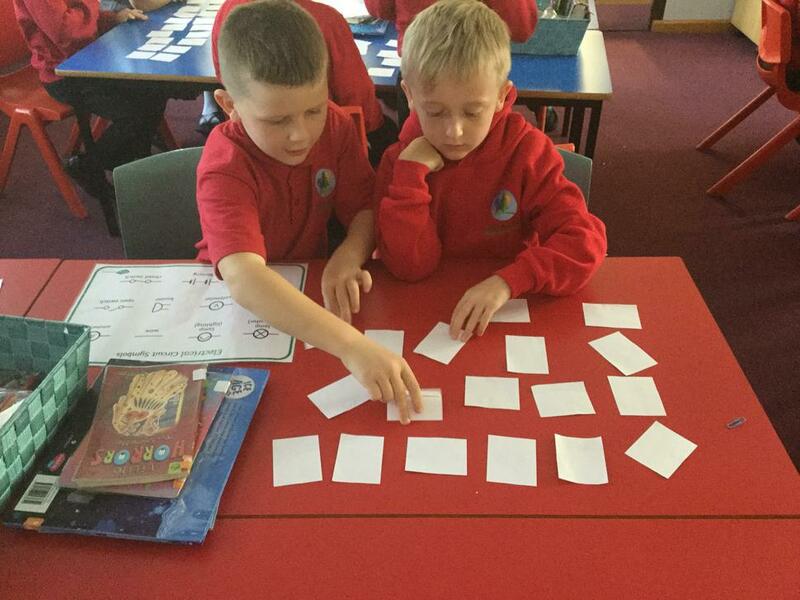 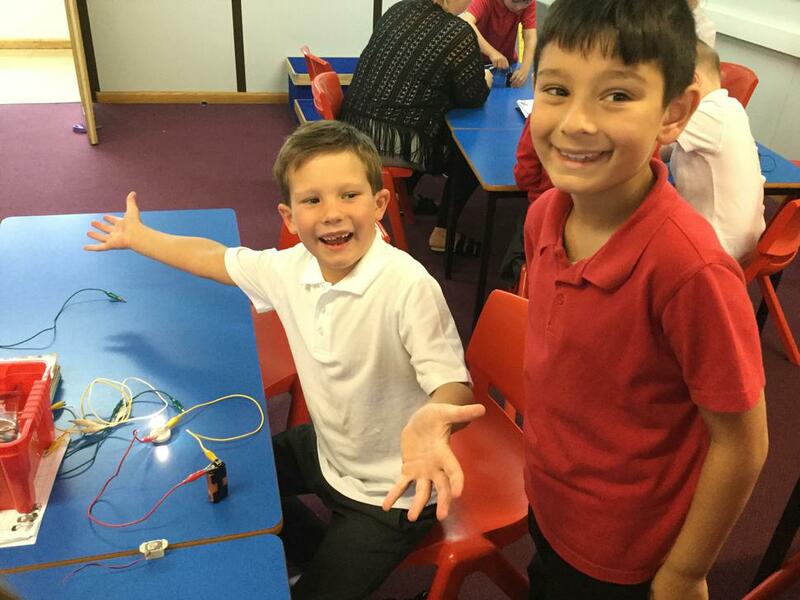 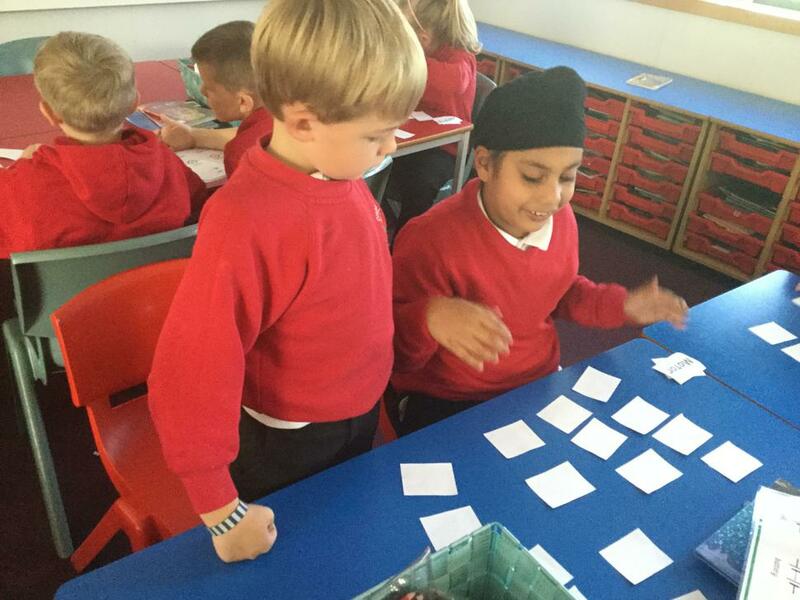 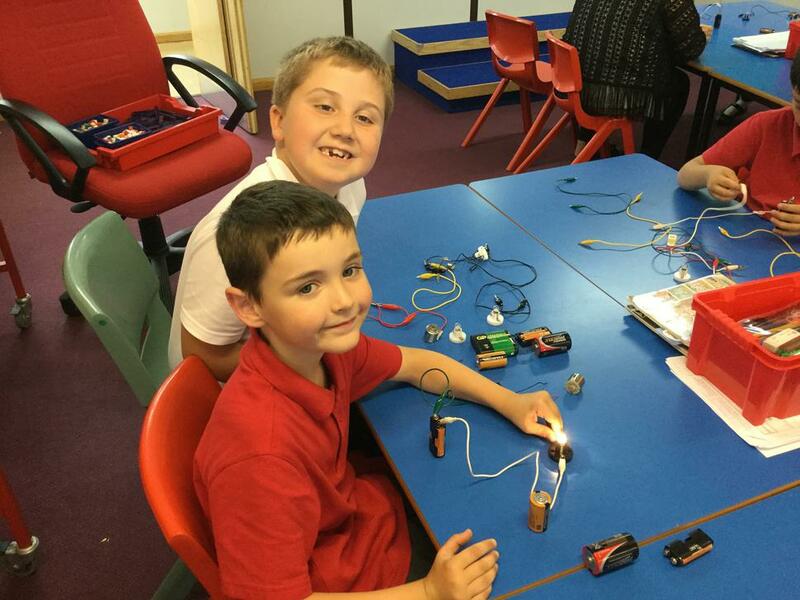 In science we played pairs and learned about the symbols for electrical components in a circuit. 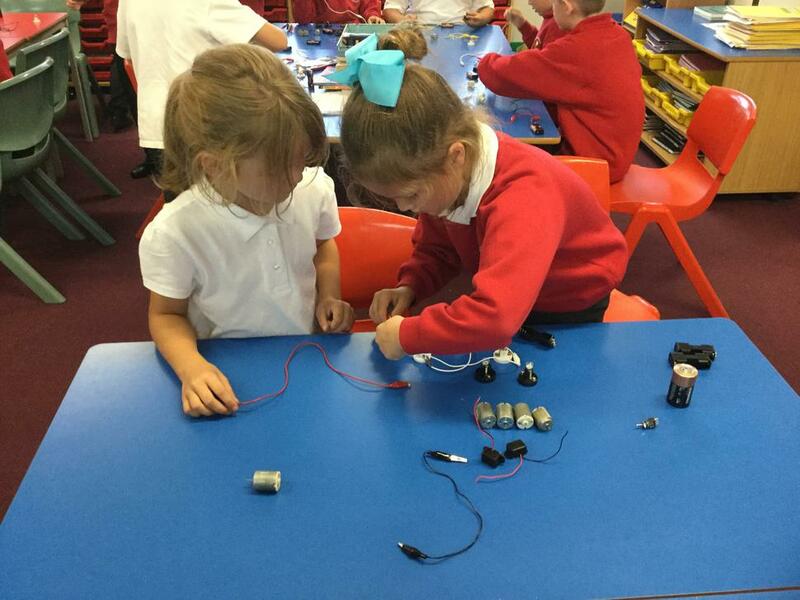 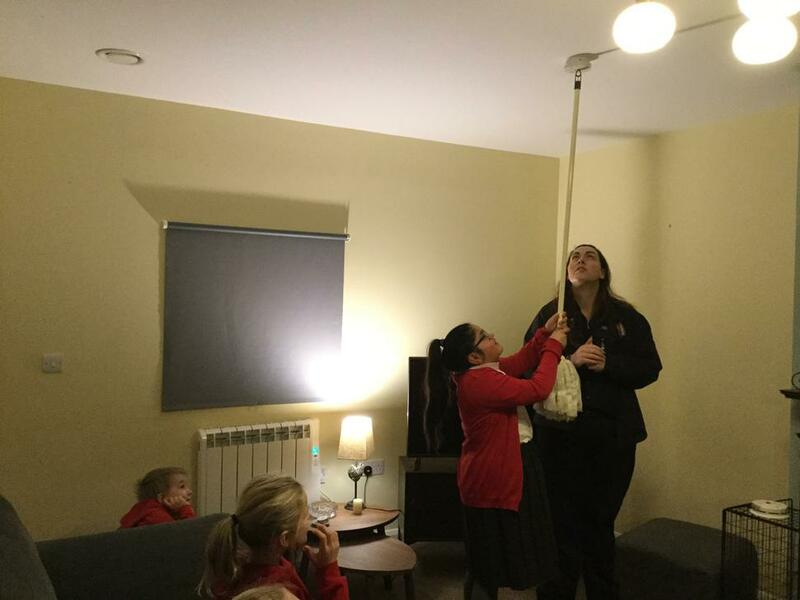 Our topic this half term is electricity. 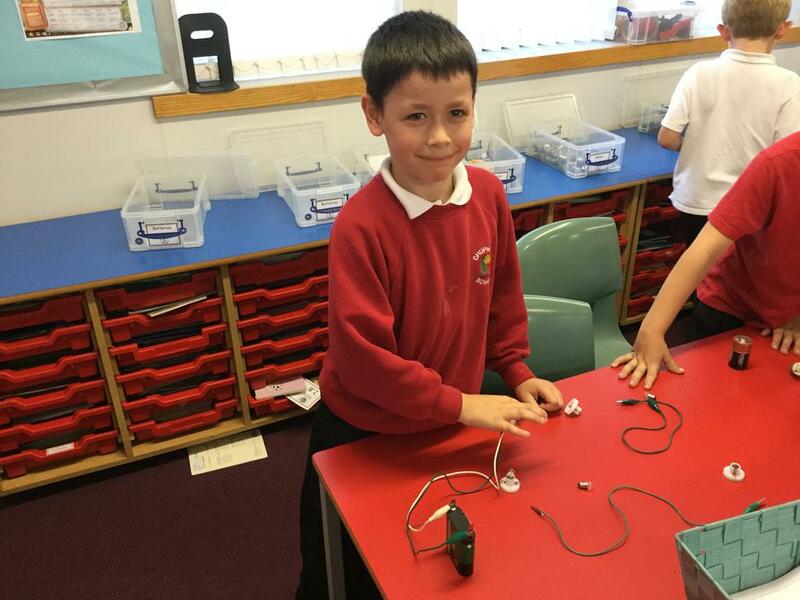 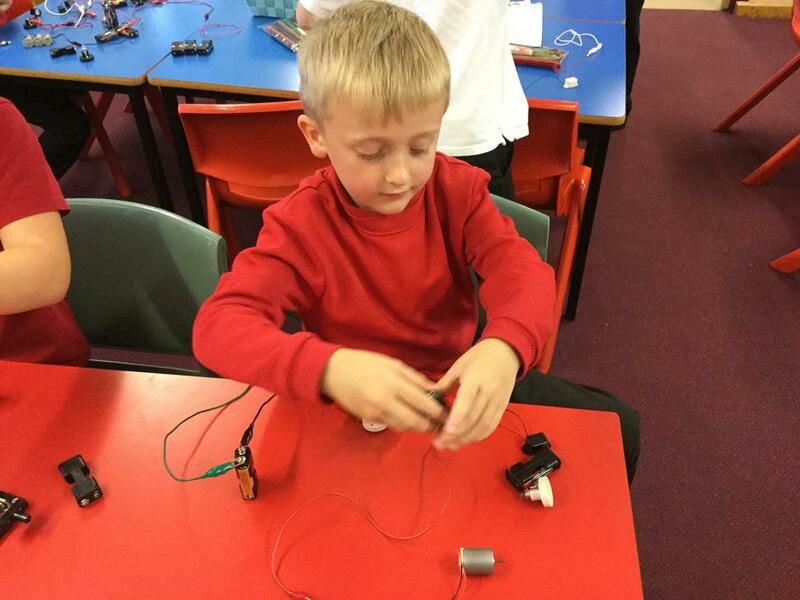 We have explored how electricity travels around a circuit. 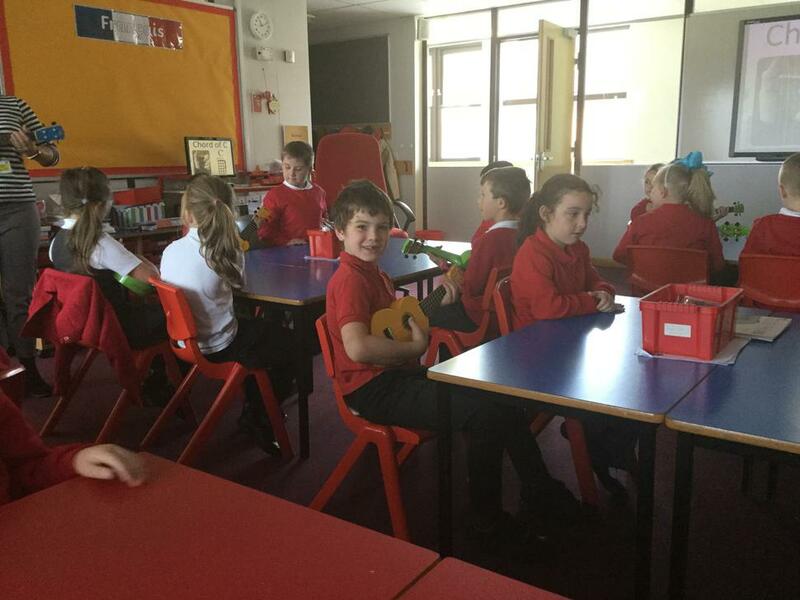 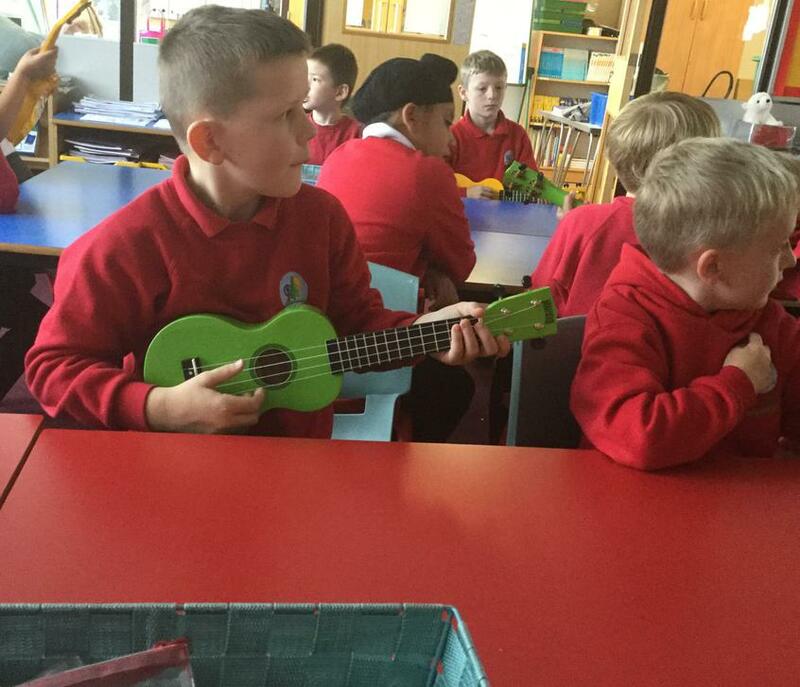 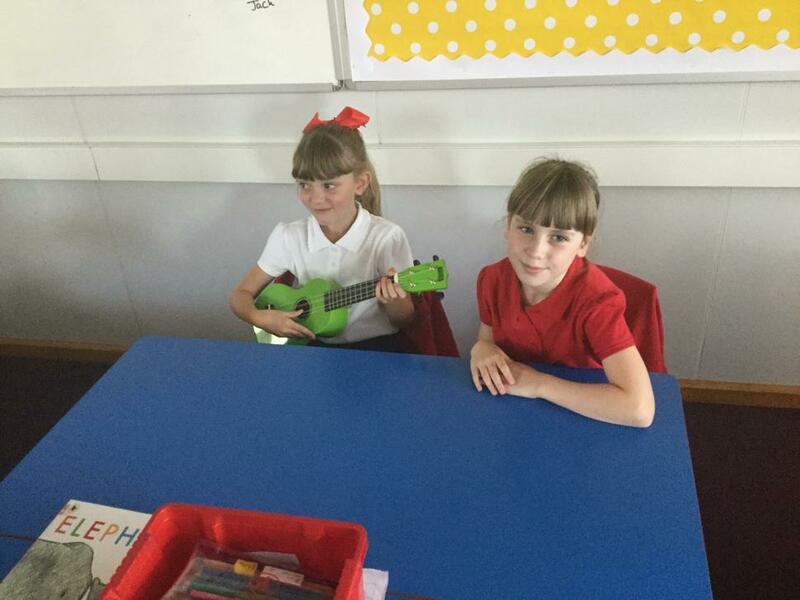 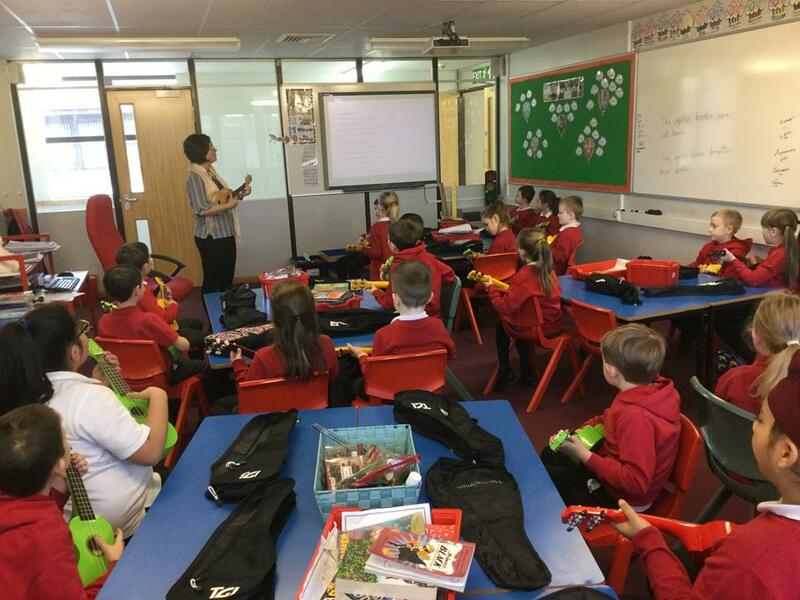 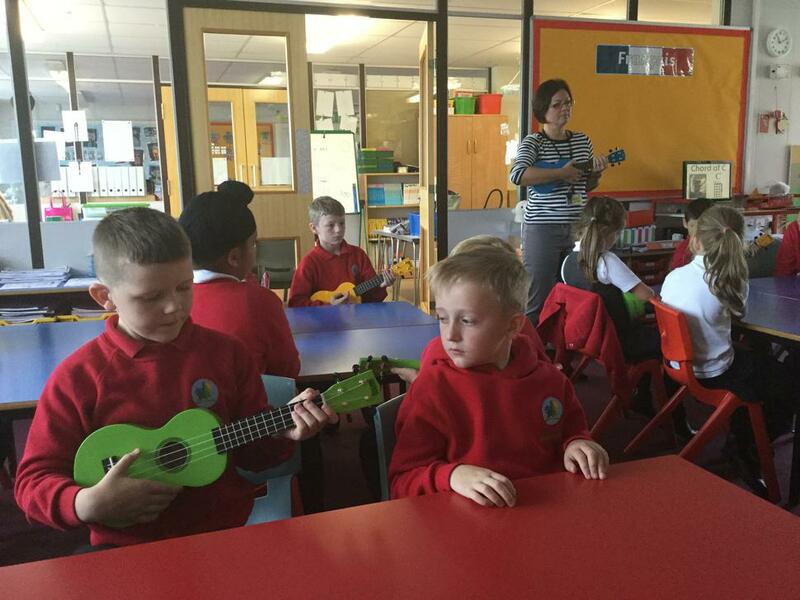 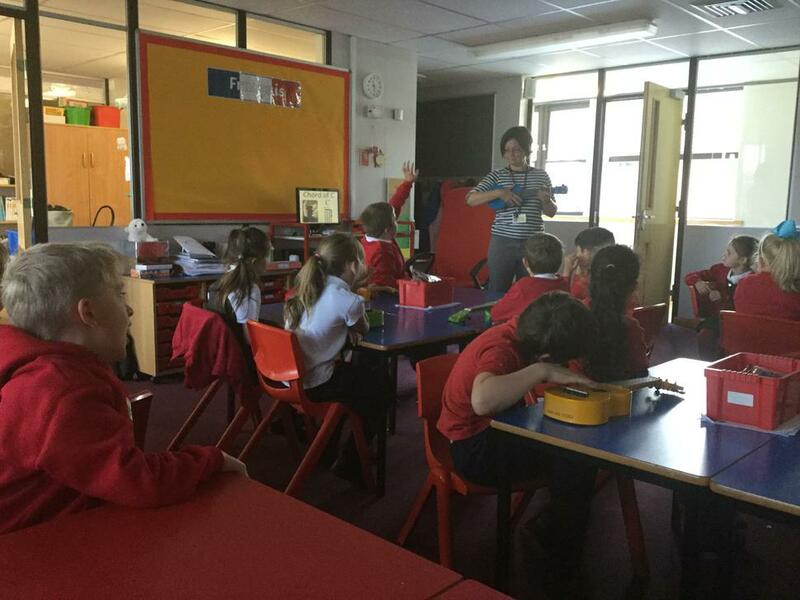 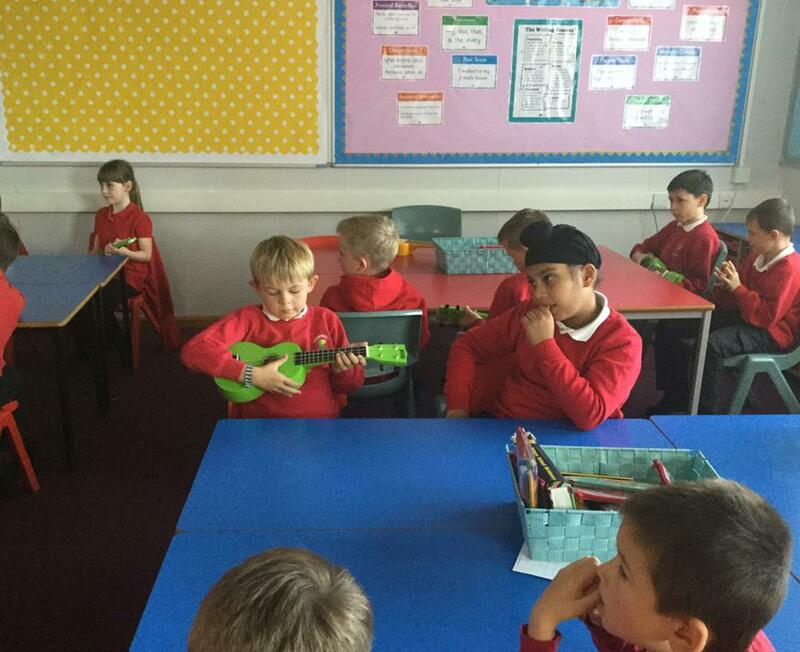 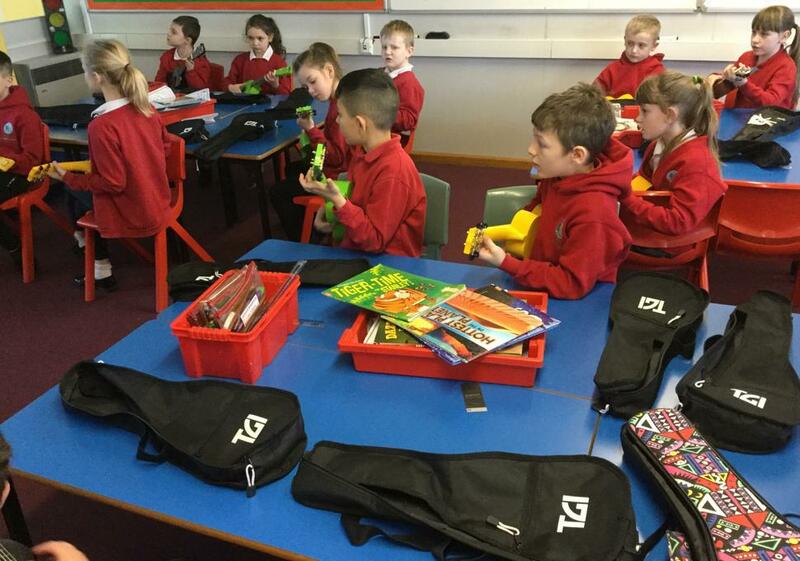 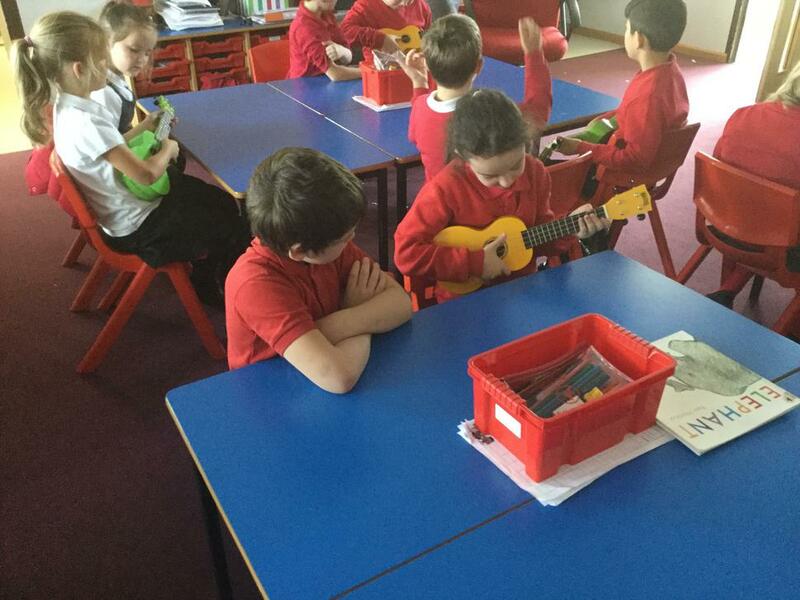 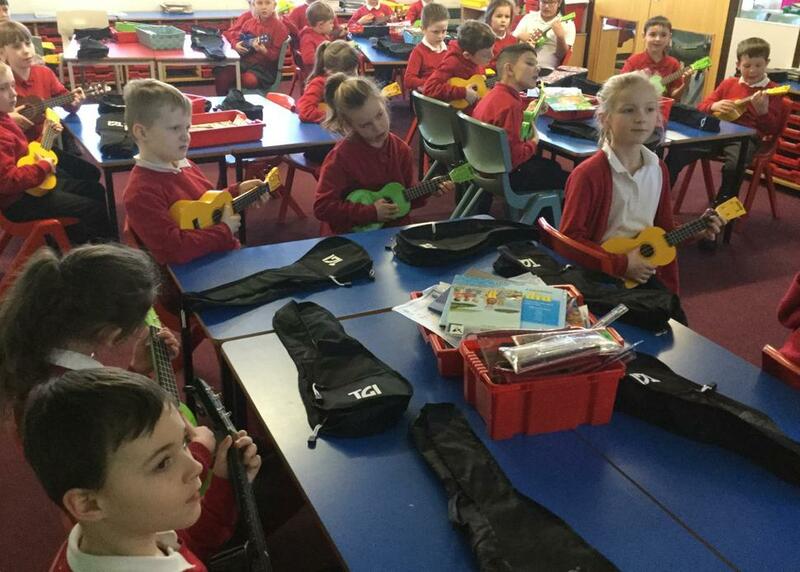 The children in year 3 are enjoying learning how to play the ukulele.